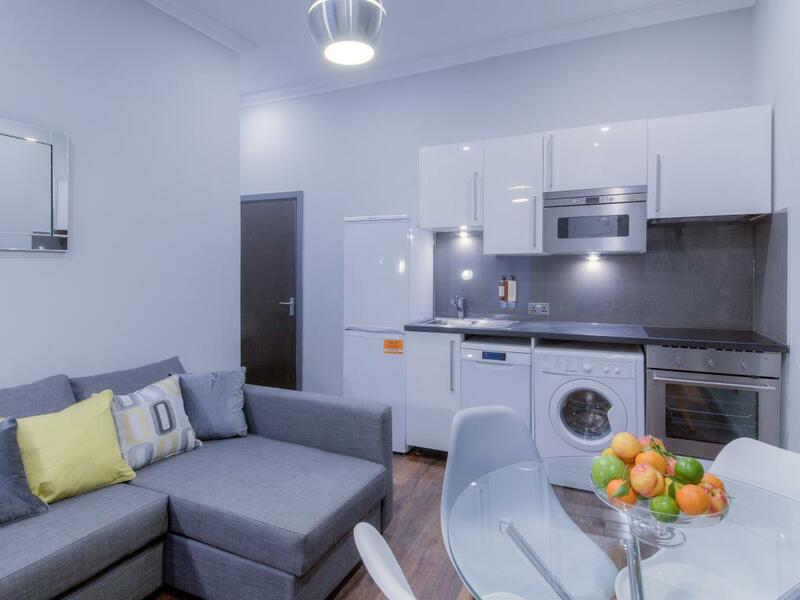 Sandringham is a modern one bedroom apartment located on the ground floor. 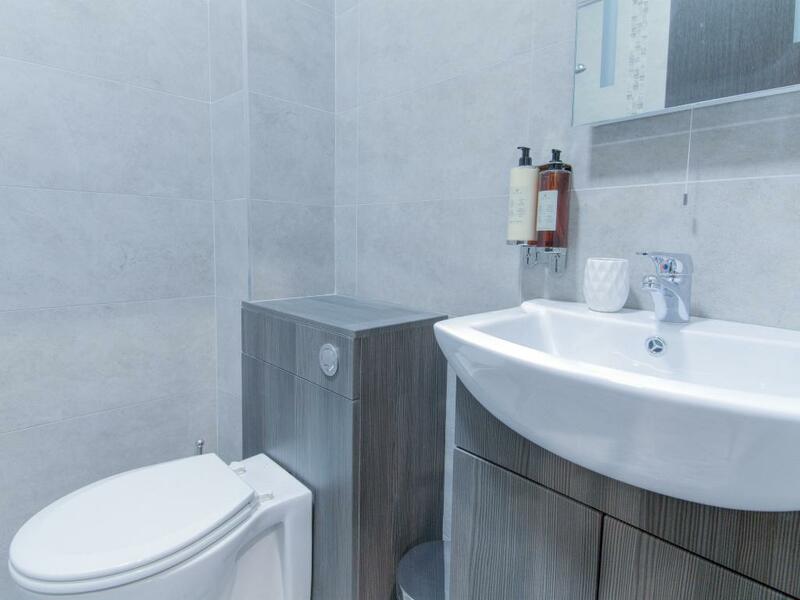 Newly refurbished in February 2018, this apartment has a modern and stylish open plan kitchen/lounge, separate bedroom and bathroom. 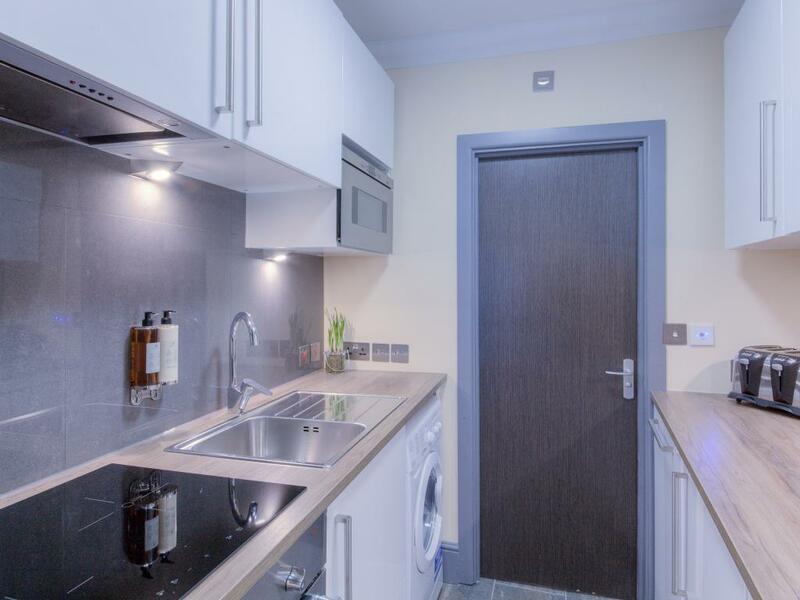 Kitchen comes fully equipped with fridge/freezer, cooker, oven, microwave, washing machine and all necessary kitchen utensils. 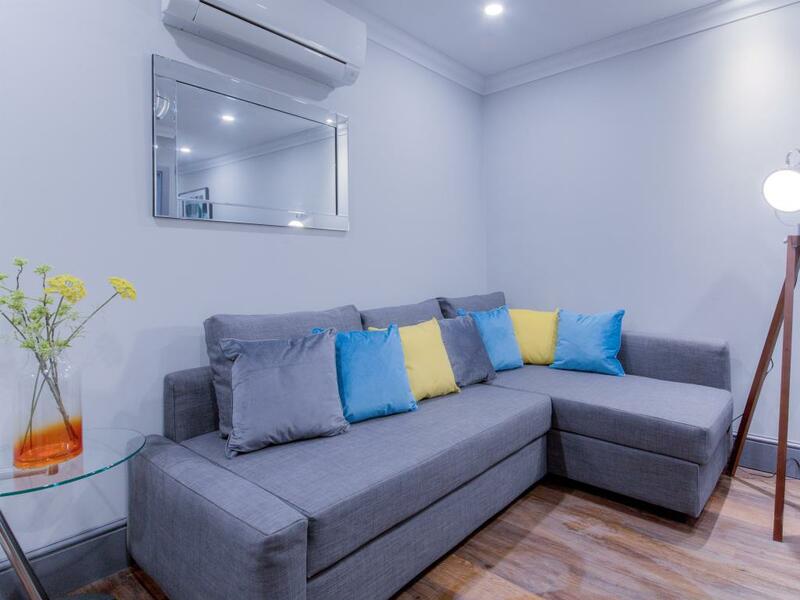 Apartment also comes with air conditioning unit in the living area! 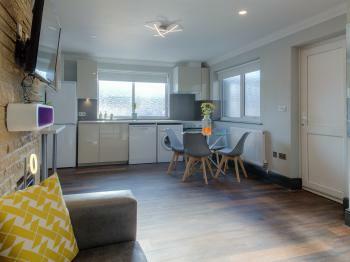 This apartment can easily accommodate 4 but is also big enough to accommodate up to 5, great for families. 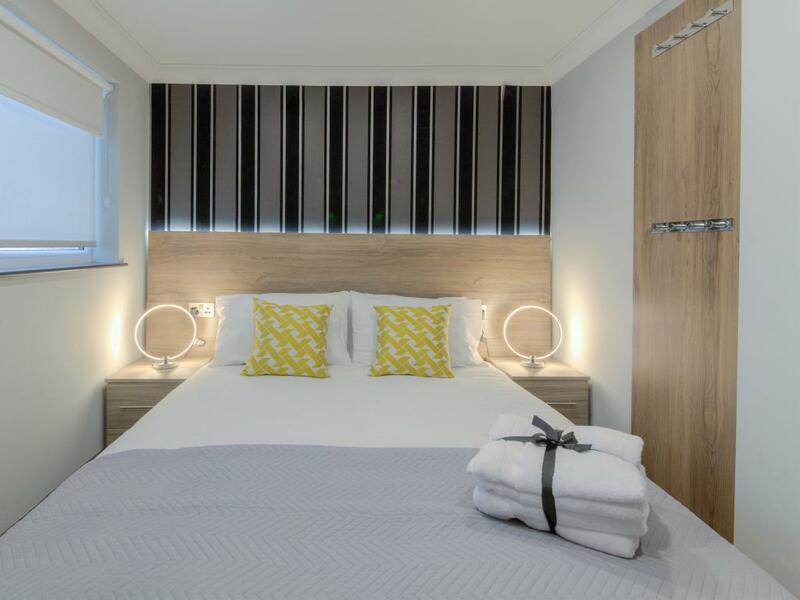 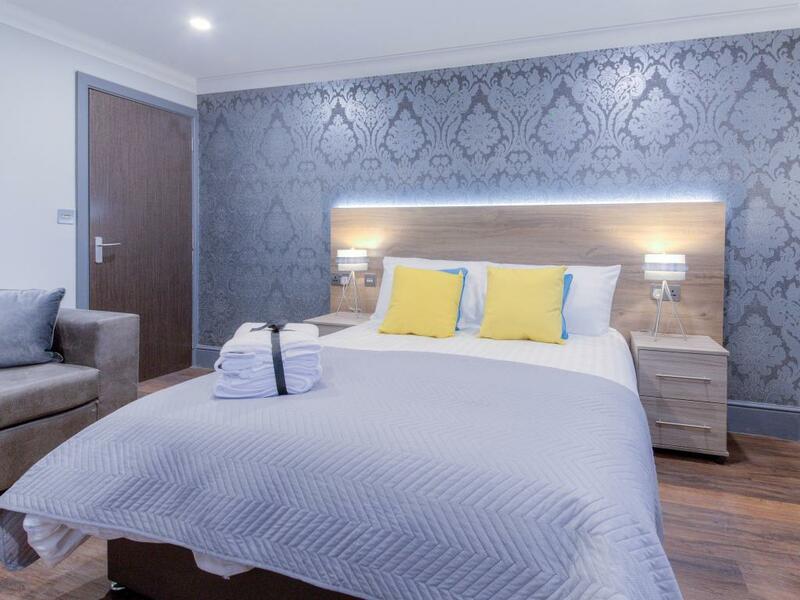 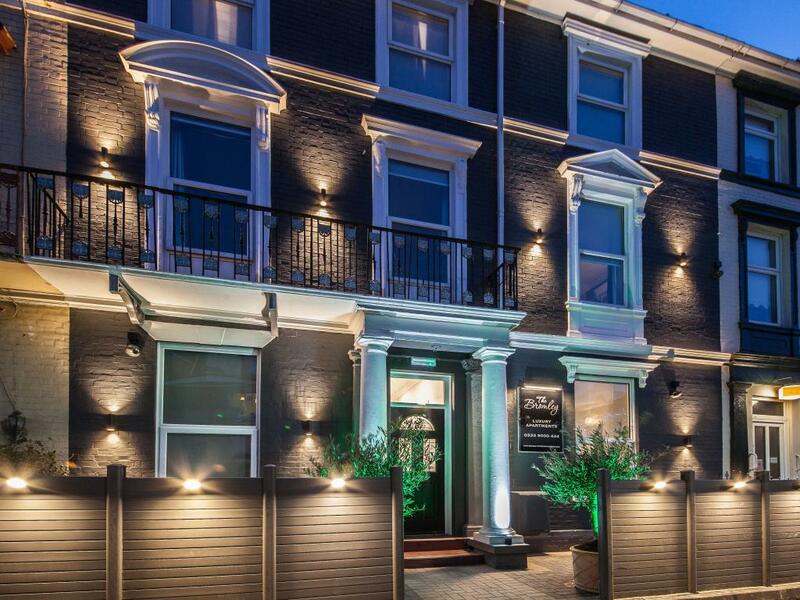 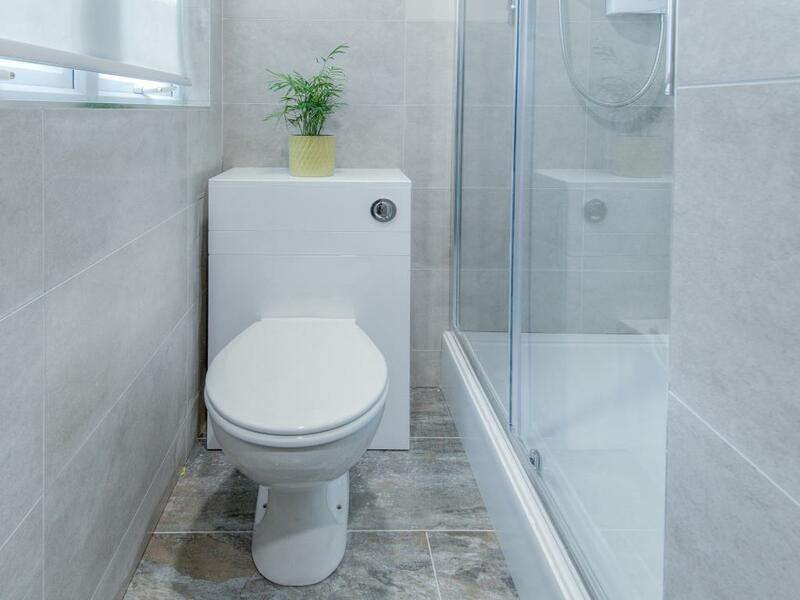 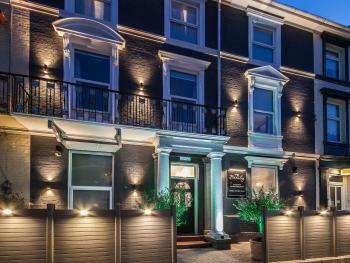 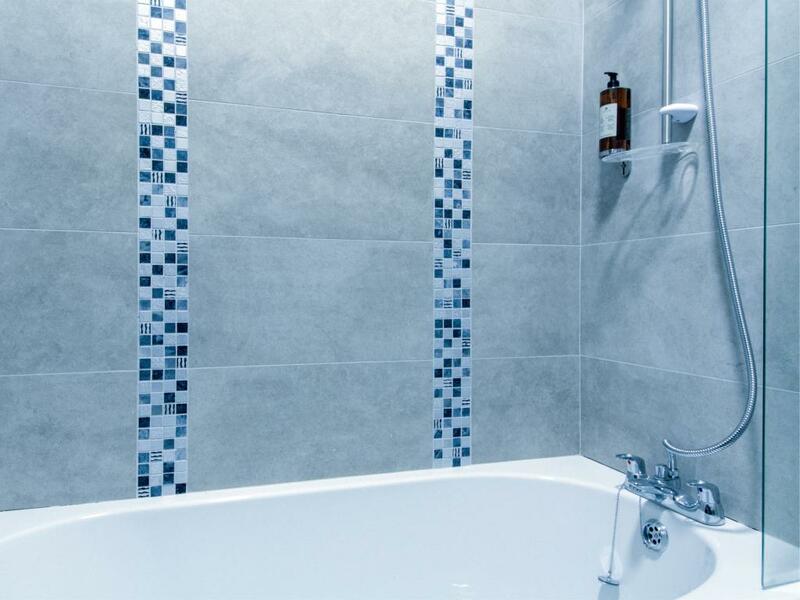 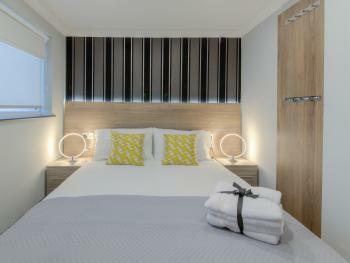 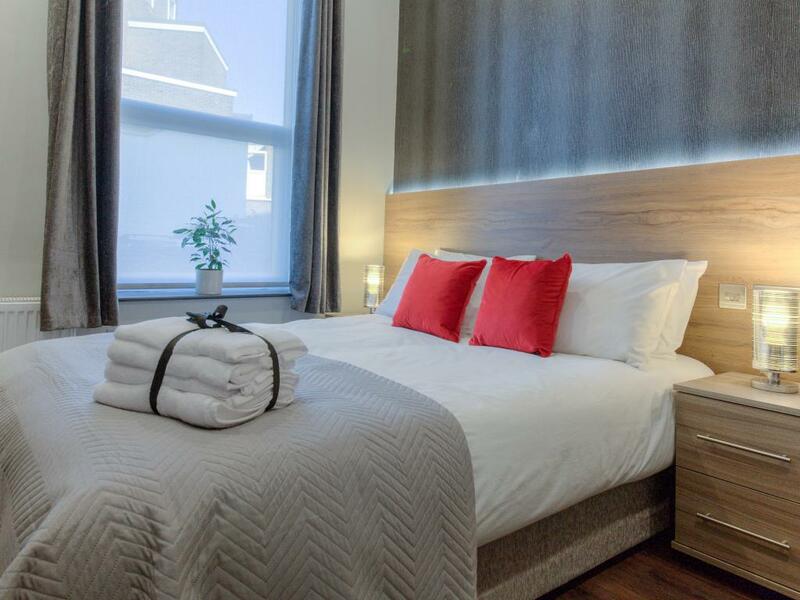 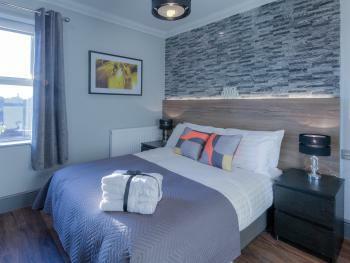 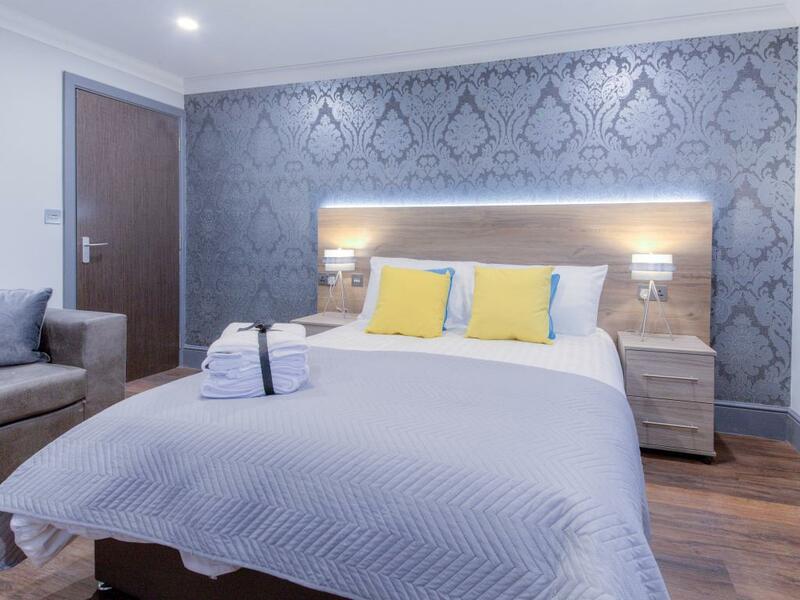 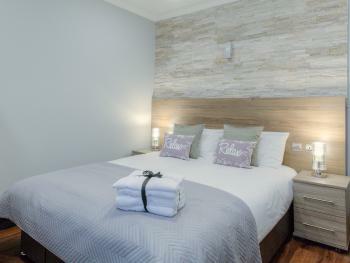 Tastefully decorated to provide guests with a comfortable homely feel during their stay in Great Yarmouth. Bedding Configuration 1: Bedroom: 1 Standard King Size Bed Living room: 3 Single Sofabeds Bedding Configuration 2: Bedroom: 2 Standard Single Beds Living room: 3 Single sofabeds The default bedding configuration for this apartment is Bedding Configuration 1. 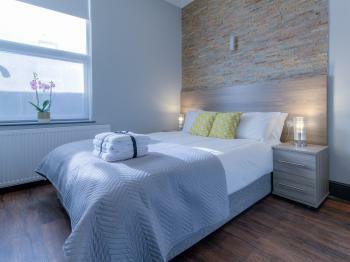 If guests require Bedding Configuration 2 please inform us 1 week before check-in. 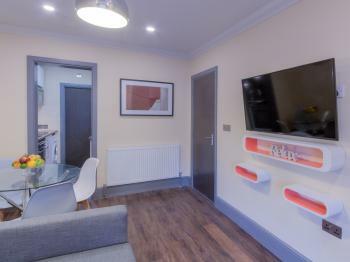 Children 2 and under stay for free at all of our apartments and cots are available on request. 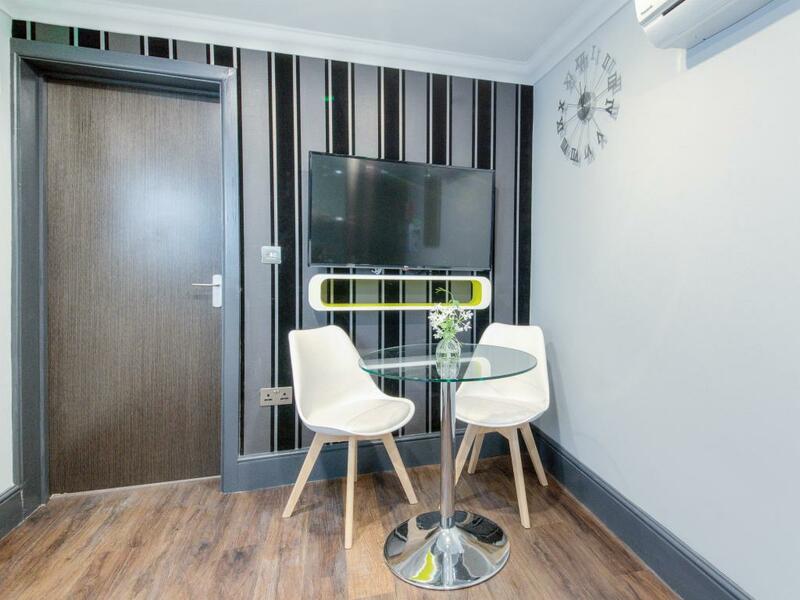 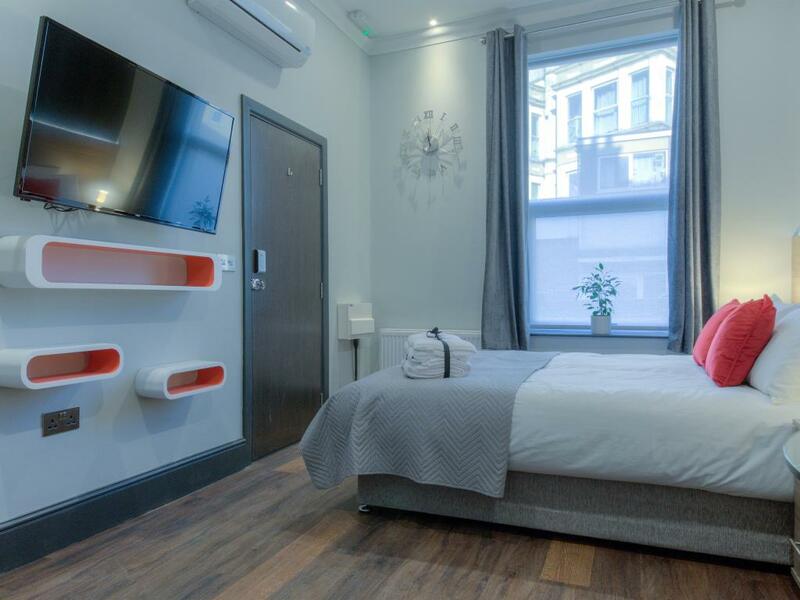 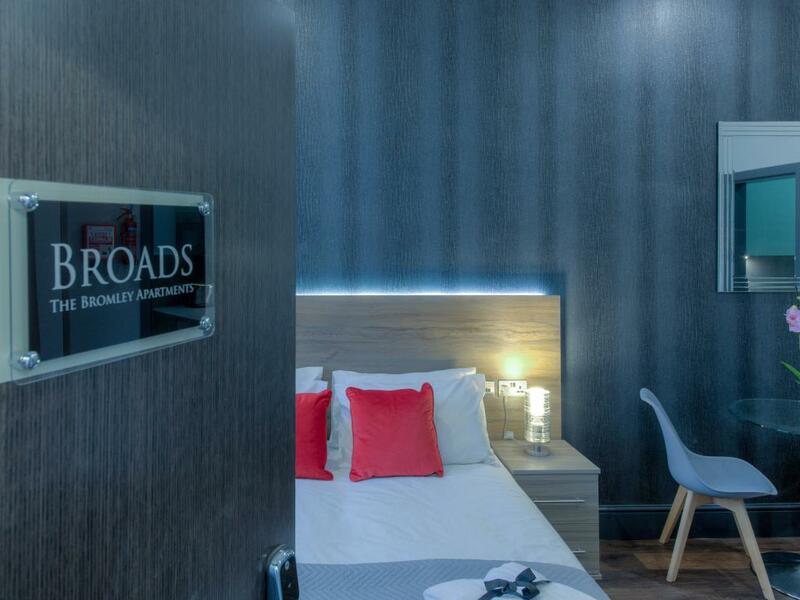 Broads is a newly refurbished modern studio located on the ground floor. 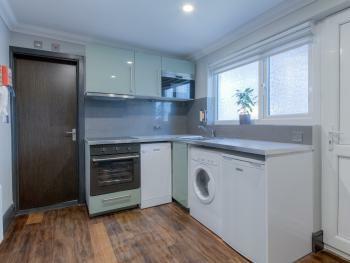 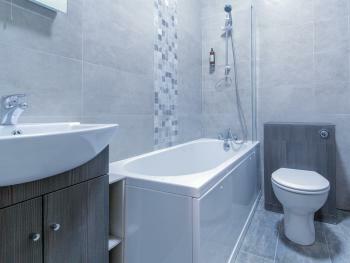 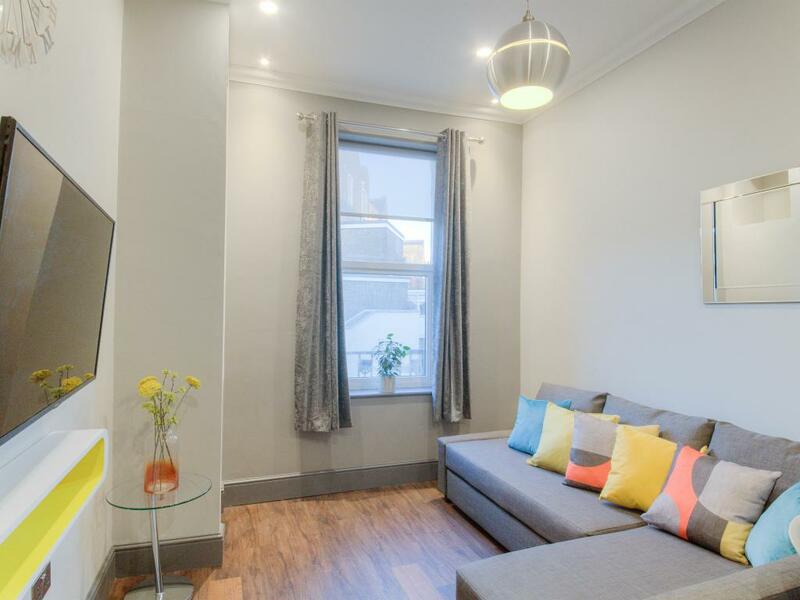 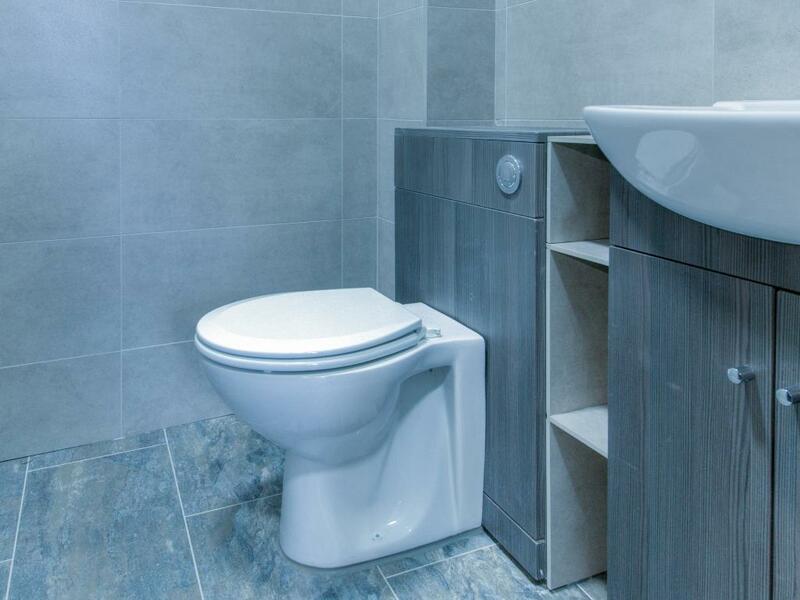 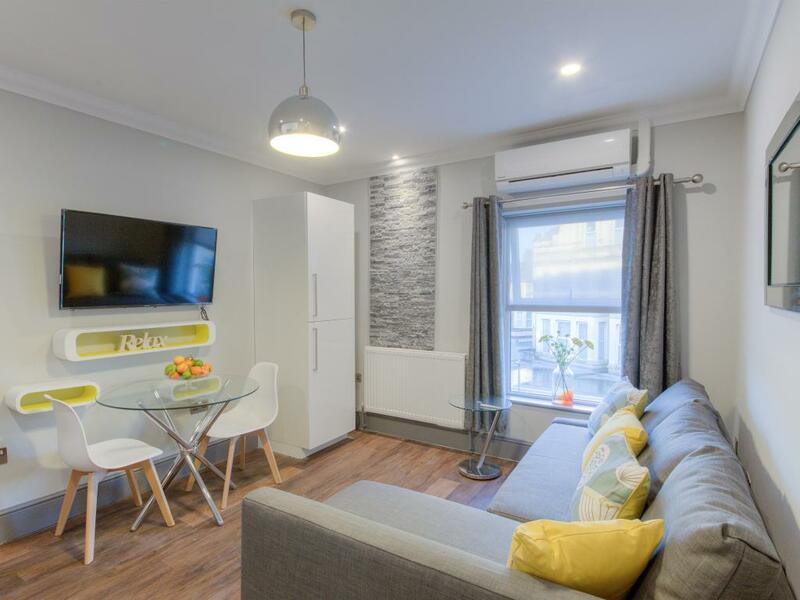 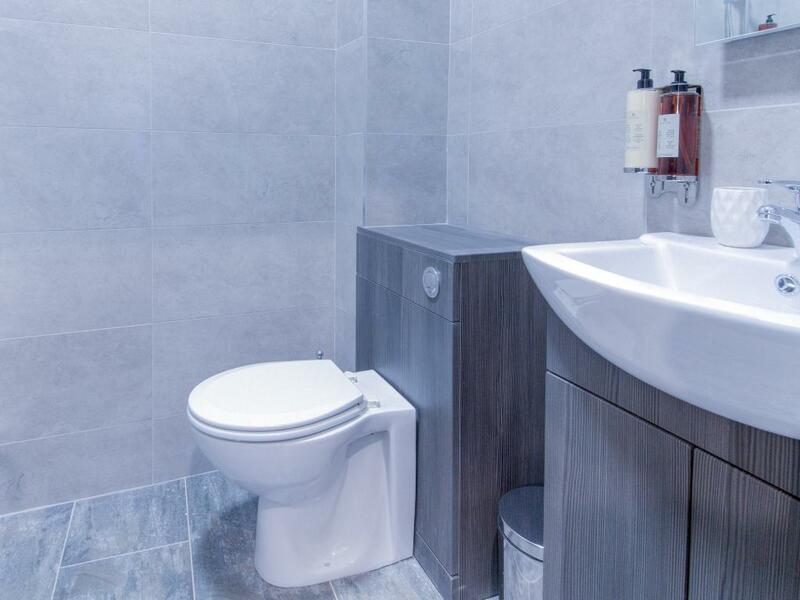 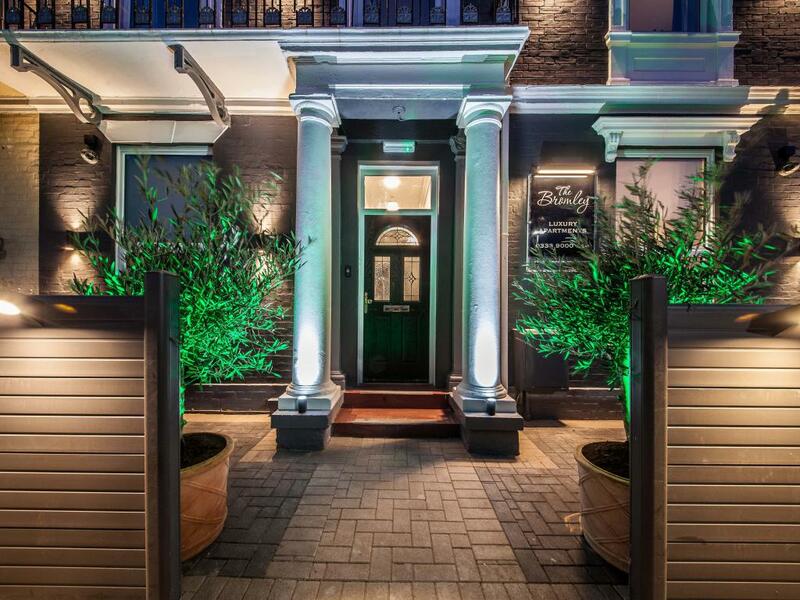 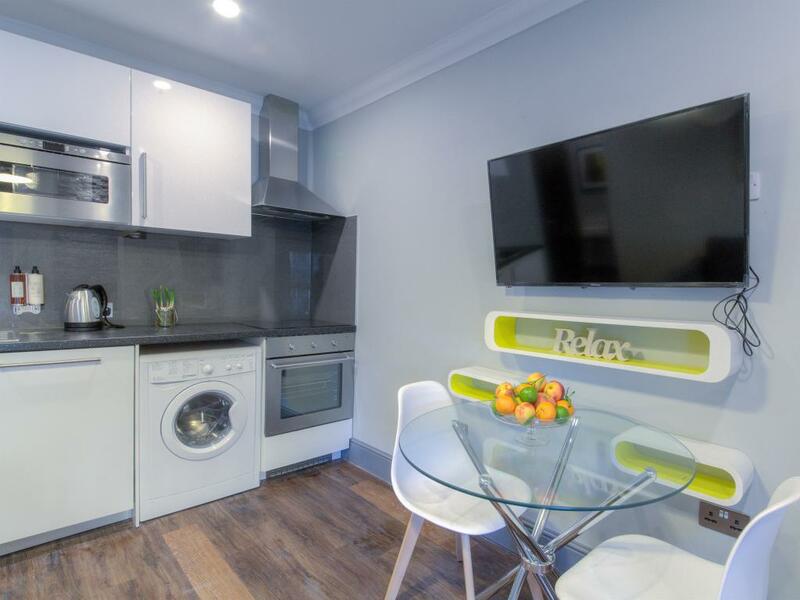 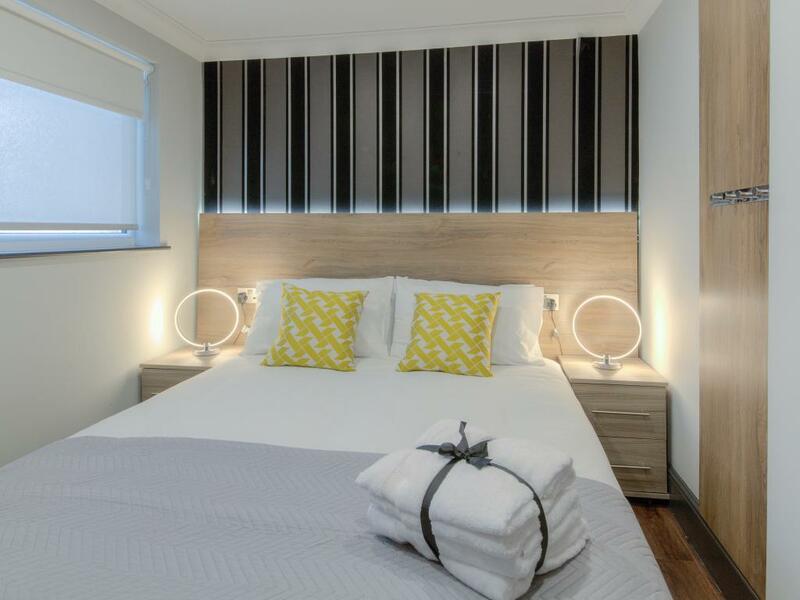 This studio is refurbished to a very high standard offering a cosy and modern living space. 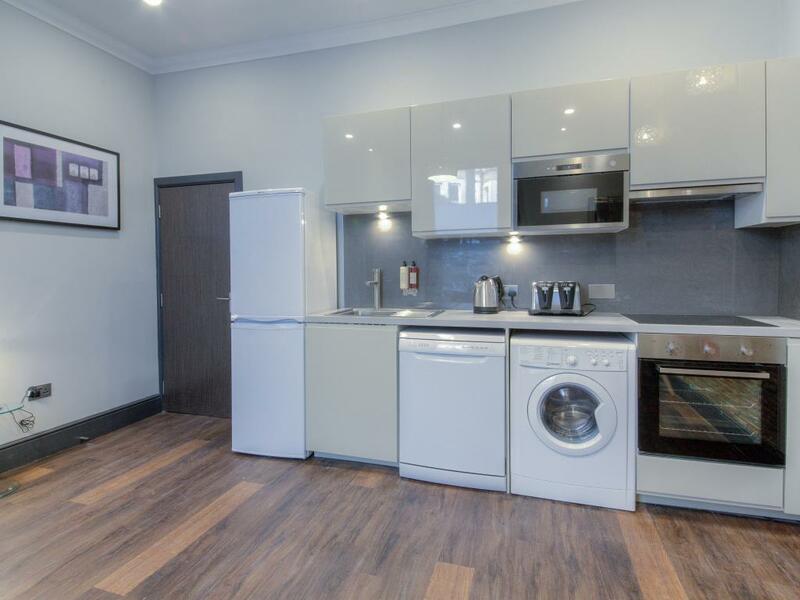 Kitchen comes fully equipped with fridge/freezer, cooker, oven, microwave, washing machine/dryer, all necessary kitchen utensils and an air conditioning unit! 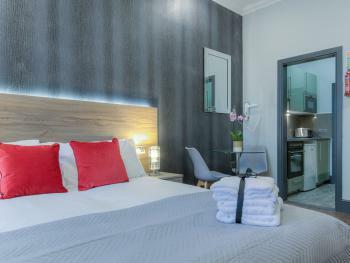 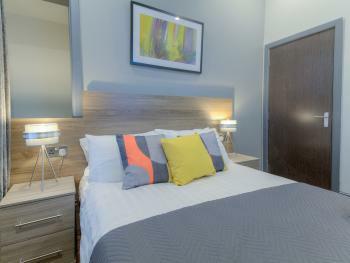 A good sized studio accommodating up to 2 guests. 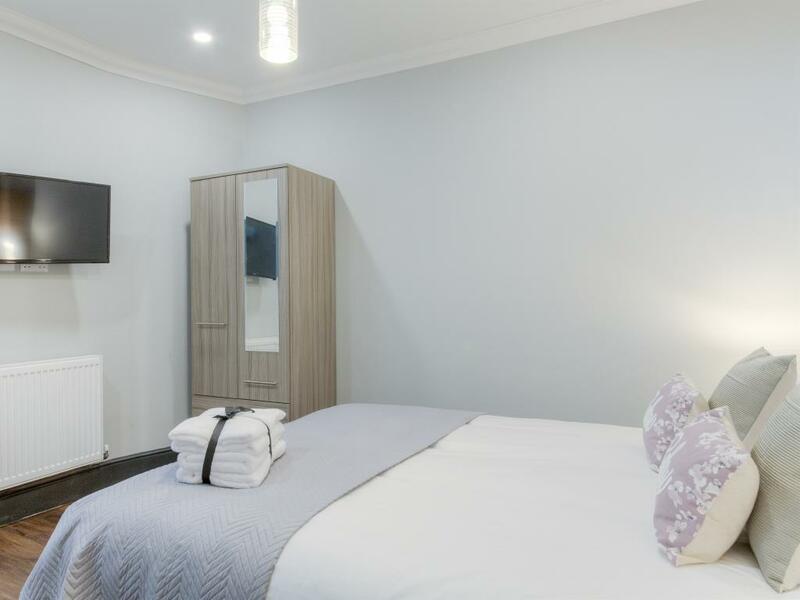 Bedding Configuration 1: 1 Standard King Size Bed Bedding Configuration 2: 2 Standard Single Beds The default bedding configuration for this apartment is Bedding Configuration 1. If guests require Bedding Configuration 2 please inform us 1 week before check-in. 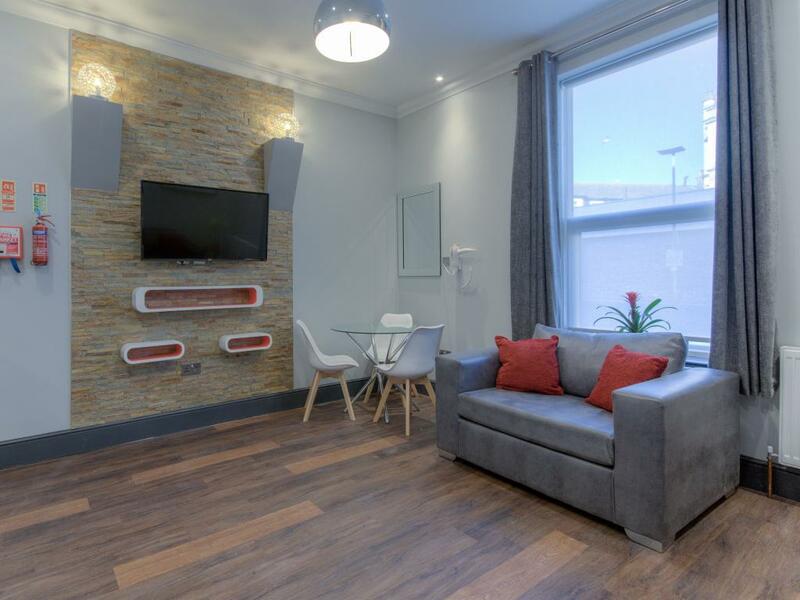 Children 2 and under stay for free at all of our apartments and cots are available on request. 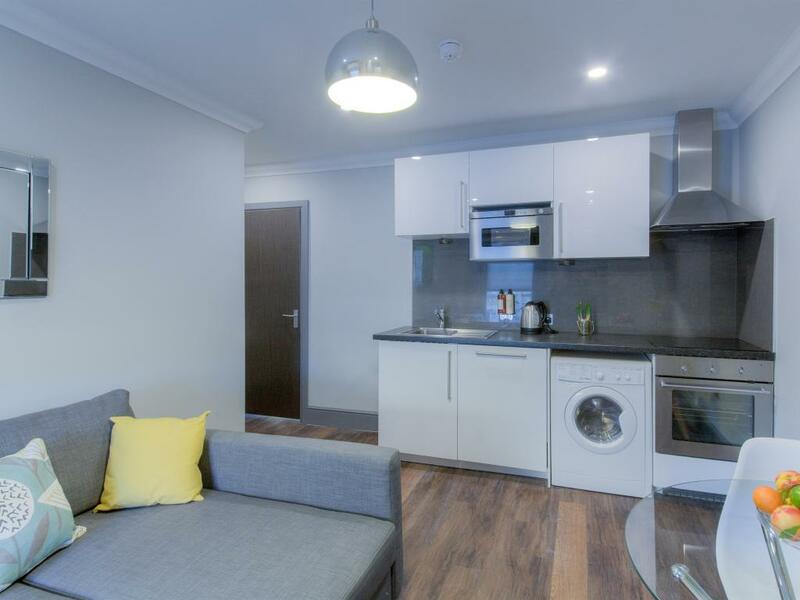 Wellington is a modern one bedroom apartment located on the ground floor. Newly refurbished in February 2018, this apartment has a modern and stylish open plan kitchen/lounge, separate bedroom and bathroom. 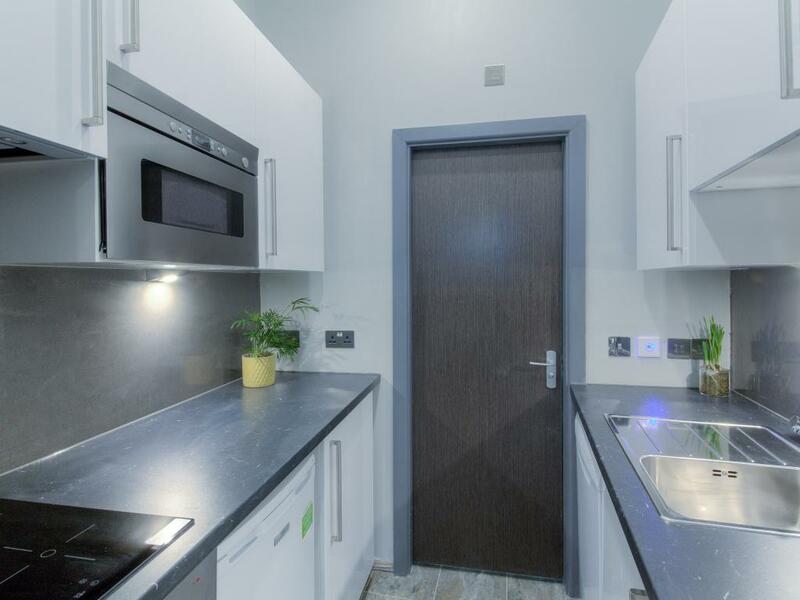 Kitchen comes fully equipped with fridge/freezer, cooker, oven, microwave, washing machine and all necessary kitchen utensils. 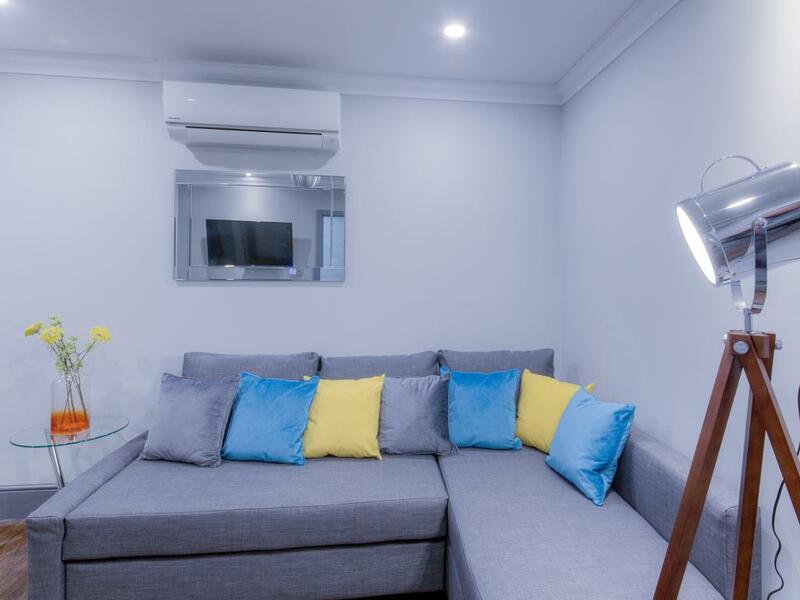 Apartment also comes with air conditioning unit in the living area! 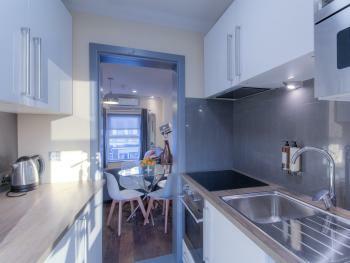 This apartment can easily accommodate 4 but is also big enough to accommodate up to 5, great for families. 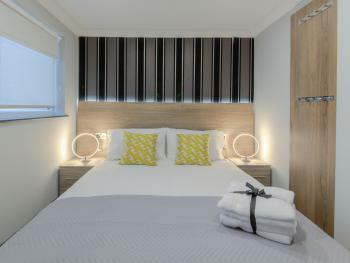 Tastefully decorated to provide guests with a comfortable homely feel during their stay in Great Yarmouth. Bedding Configuration 1: Bedroom: 1 Standard King Size Bed Living room: 3 Single Sofabeds Bedding Configuration 2: Bedroom: 2 Standard Single Beds Living room: 3 Single sofabeds The default bedding configuration for this apartment is Bedding Configuration 1. If guests require Bedding Configuration 2 please inform us 1 week before check-in. Children 2 and under stay for free at all of our apartments and cots are available on request. 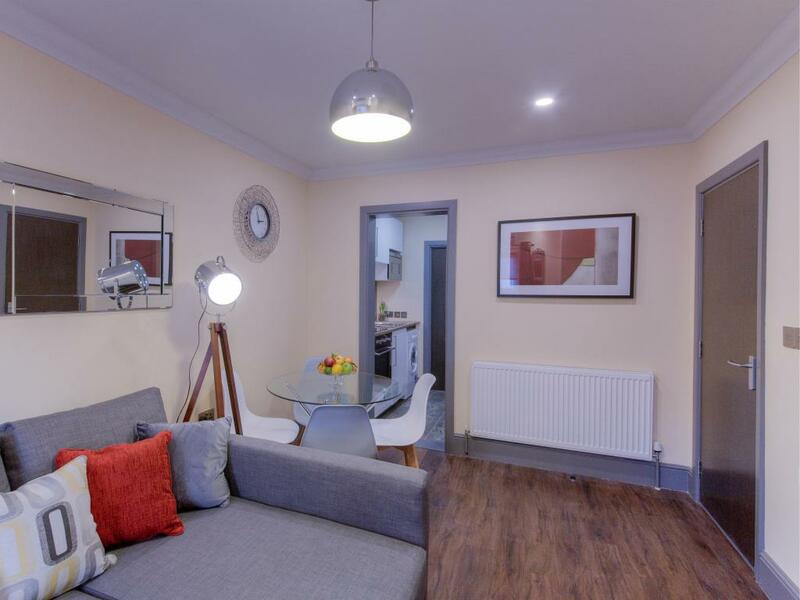 Wroxham is a modern one bedroom apartment located on the ground floor. 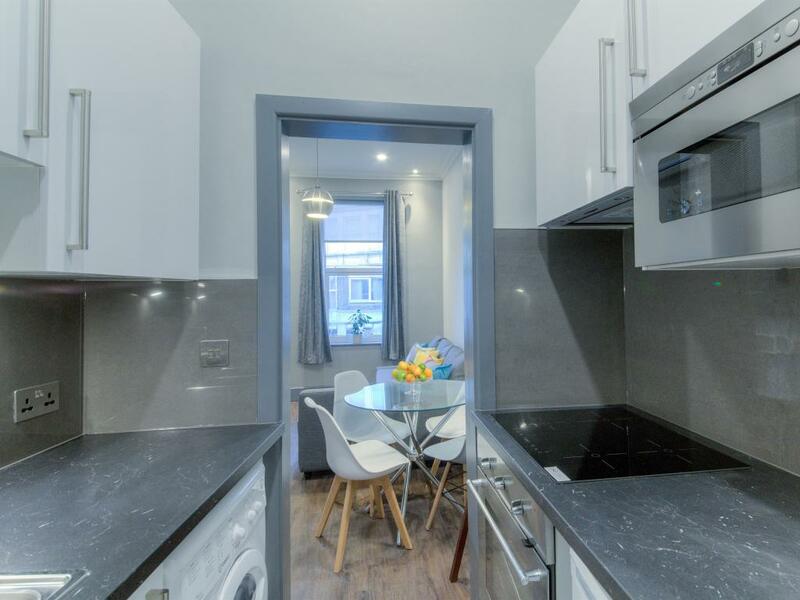 Newly refurbished in February 2018, this apartment has a modern and stylish open plan kitchen/dining area, separate bedroom and bathroom. 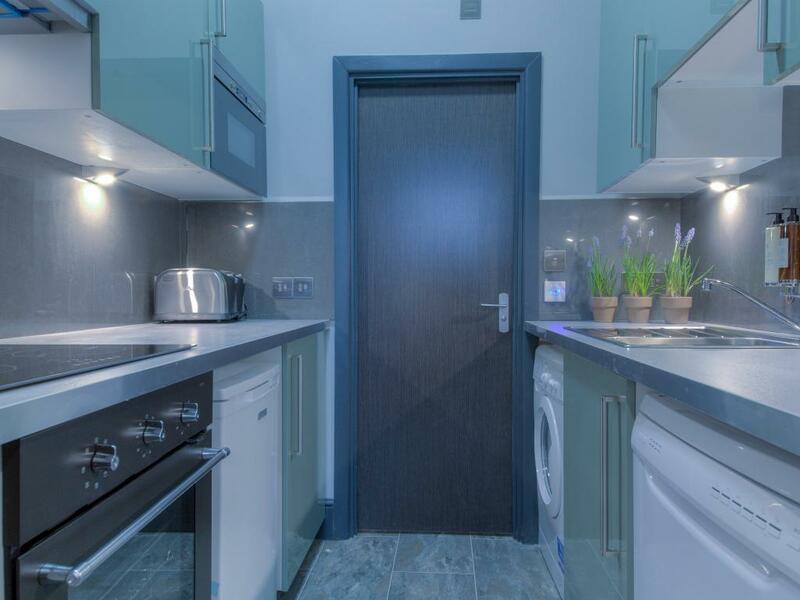 Kitchen comes fully equipped with fridge/freezer, cooker, oven, microwave, washing machine and all necessary kitchen utensils. Apartment also comes with air conditioning unit in the kitchen/dining space! 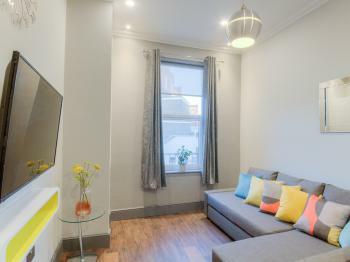 This apartment can easily accommodate 2, ideal for couples. 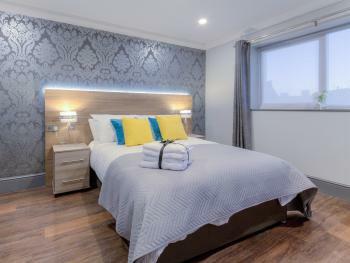 Tastefully decorated to provide guests with a comfortable homely feel during their stay in Great Yarmouth. 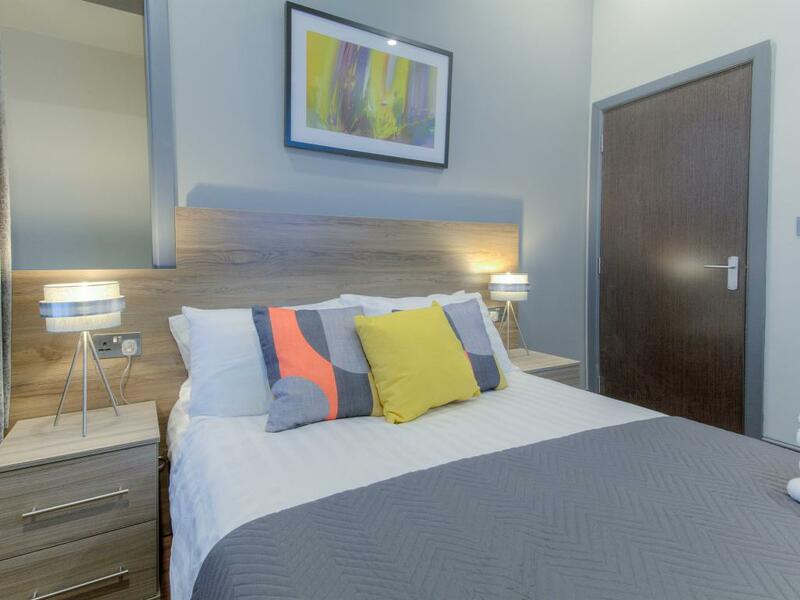 Bedding Configuration 1: Bedroom - 1 Standard King Size Bed Bedding Configuration 2: Bedroom - 2 Standard Single Beds The default bedding configuration for this apartment is Bedding Configuration 1. 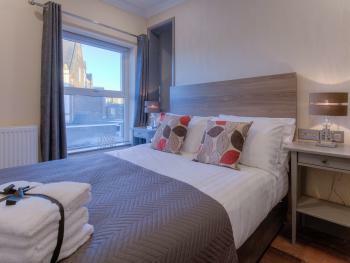 If guests require Bedding Configuration 2 please inform us 1 week before check-in. Children 2 and under stay for free at all of our apartments and cots are available on request. 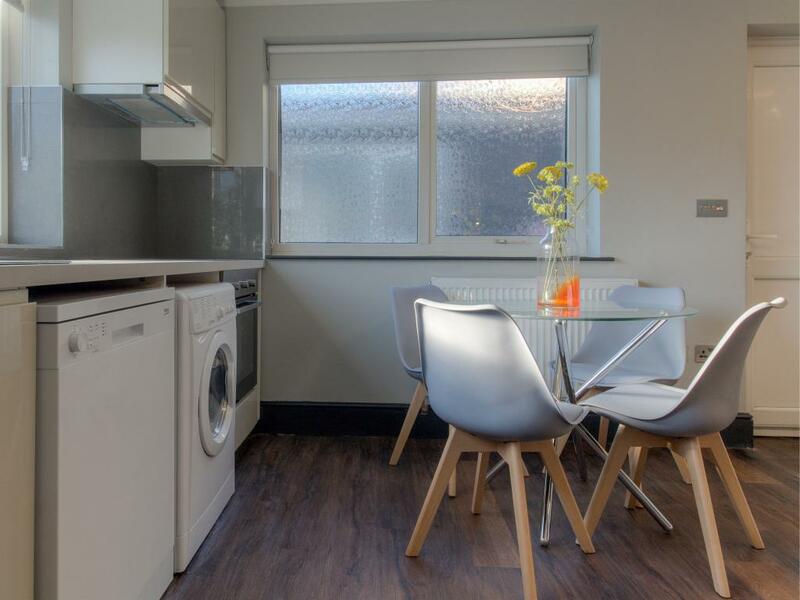 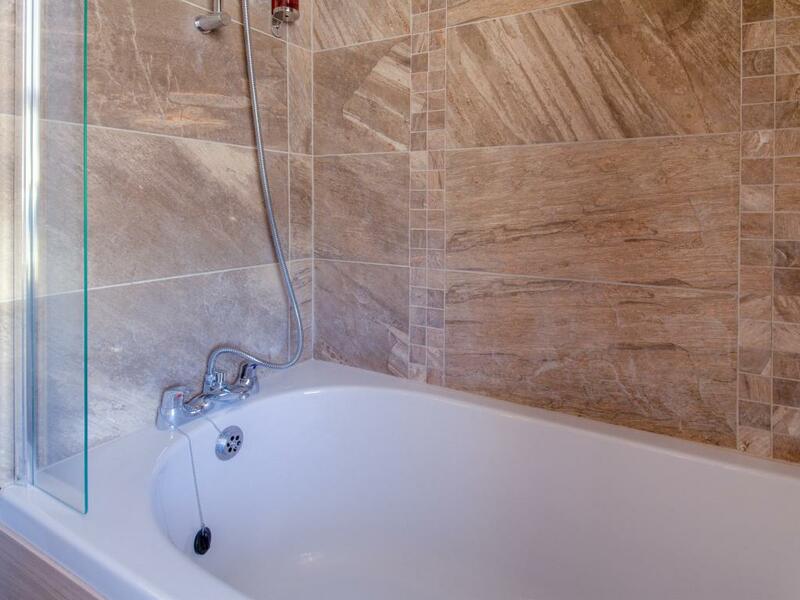 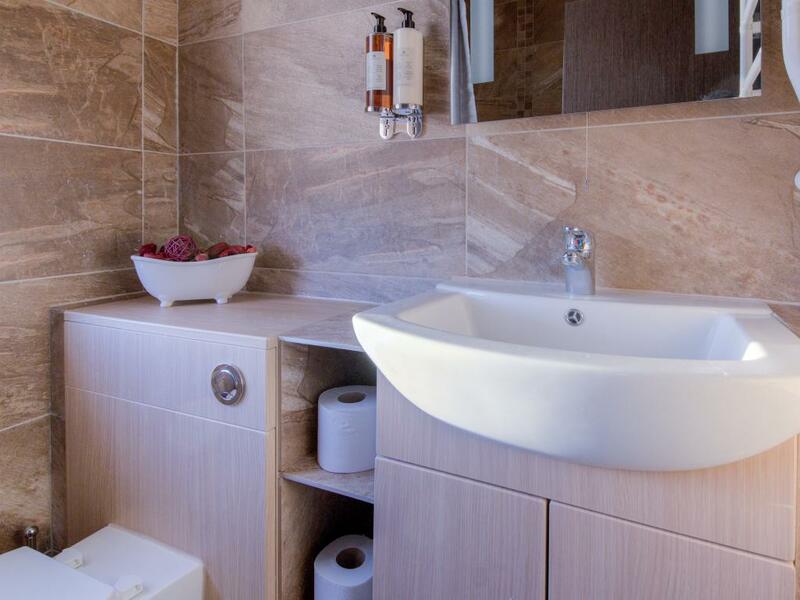 Banham is a modern one bedroom apartment located on the first floor. 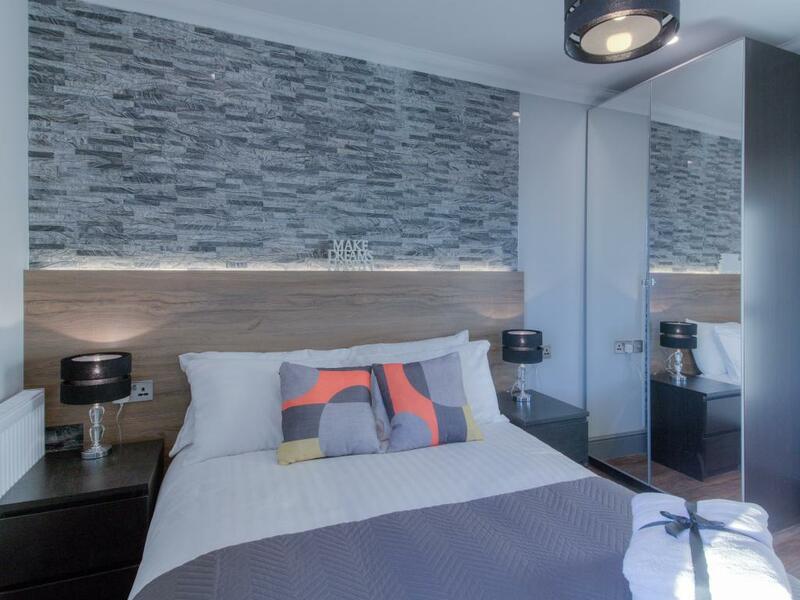 Newly refurbished in January 2018, this apartment has a modern and stylish open plan kitchen/lounge, separate bedroom and bathroom. 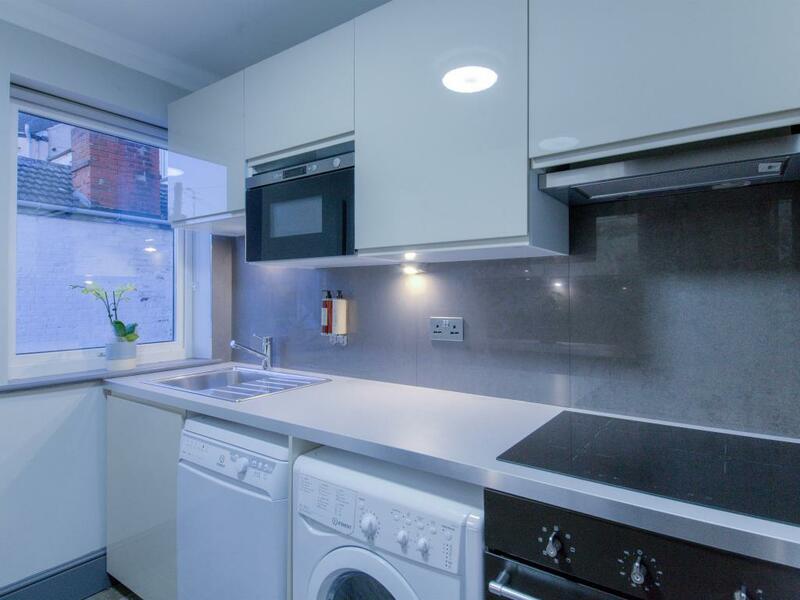 Kitchen comes fully equipped with fridge/freezer, cooker, oven, microwave, washing machine and all necessary kitchen utensils. 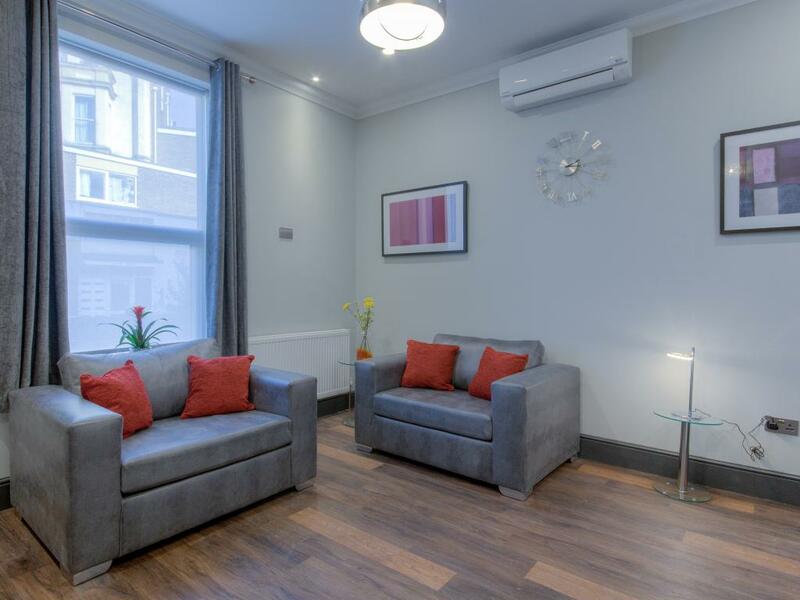 Apartment also comes with air conditioning unit in the living area! This apartment can easily accommodate 4, great for families. 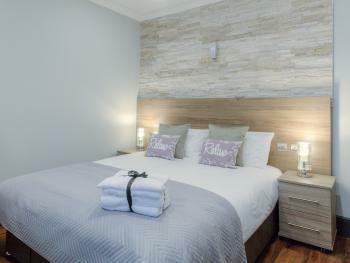 Tastefully decorated to provide guests with a comfortable homely feel during their stay in Great Yarmouth. 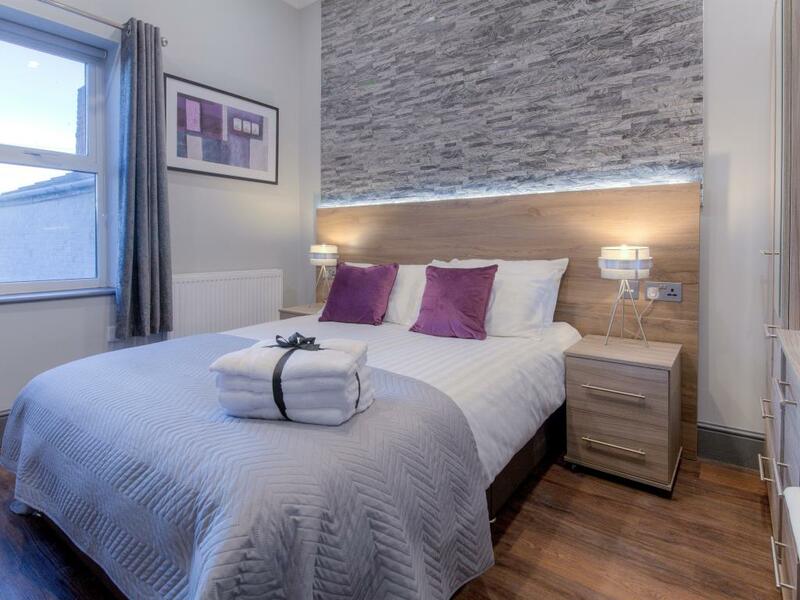 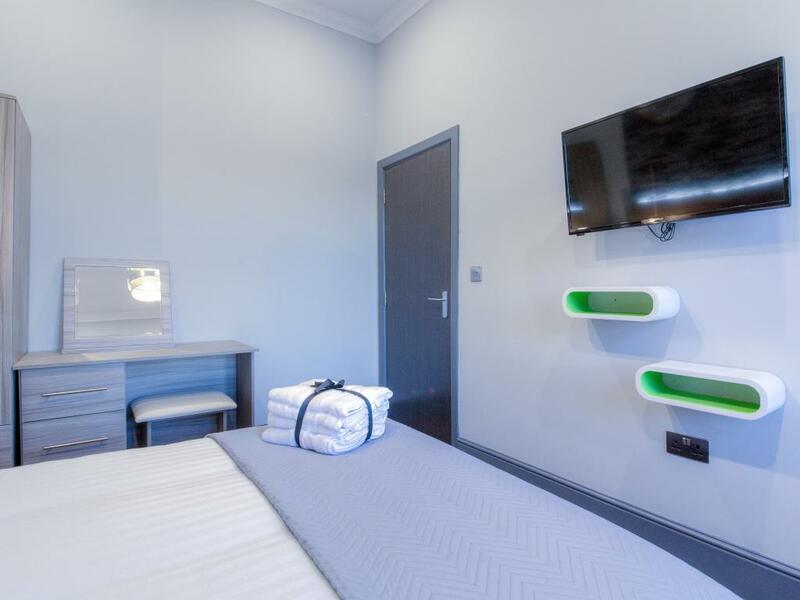 Bedding Configuration: Bedroom: 1 Standard Double Bed Living room: 2 Single Sofabeds Children 2 and under stay for free at all of our apartments and cots are available on request. 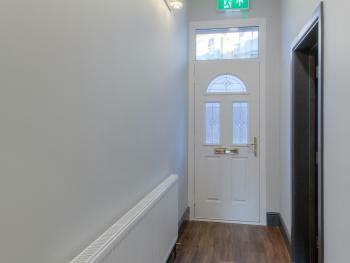 Houghton is a modern one bedroom apartment located on the first floor. 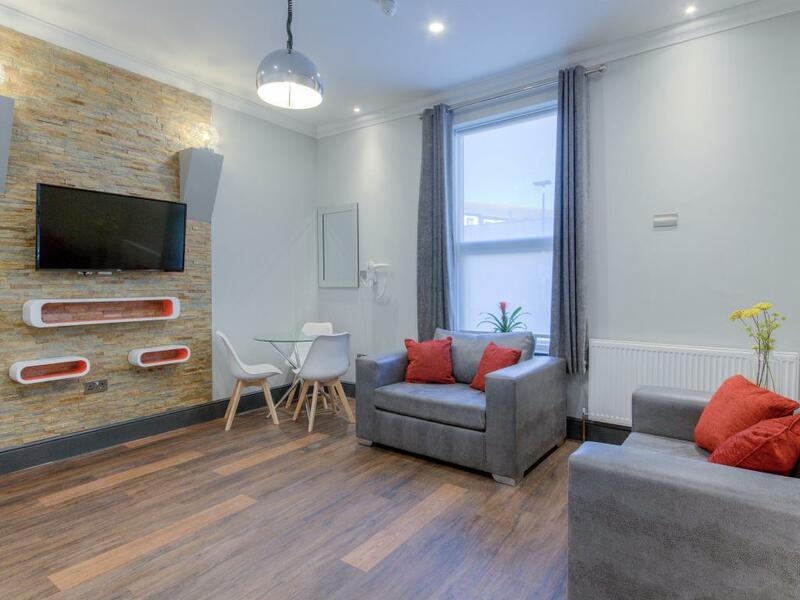 Newly refurbished in January 2018, this apartment has a modern and stylish open plan kitchen/lounge, separate bedroom and bathroom. 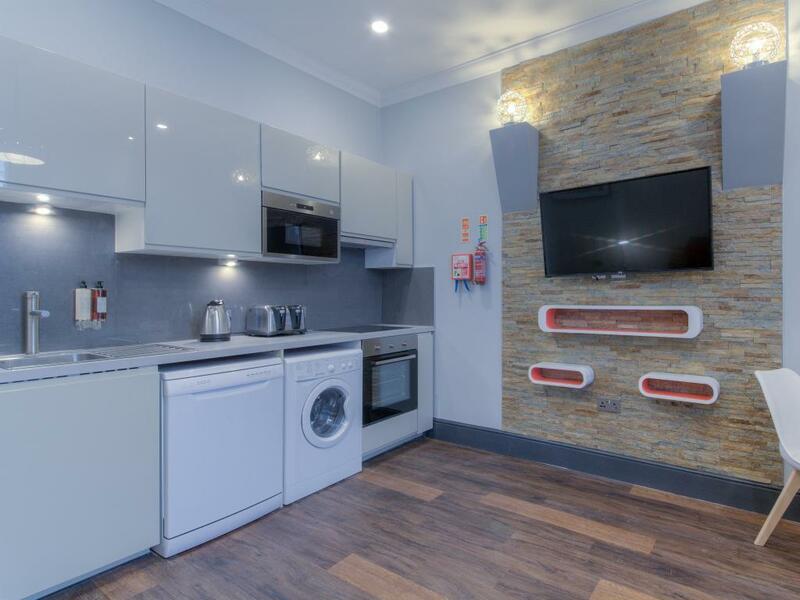 Kitchen comes fully equipped with fridge/freezer, cooker, oven, microwave, washing machine and all necessary kitchen utensils. 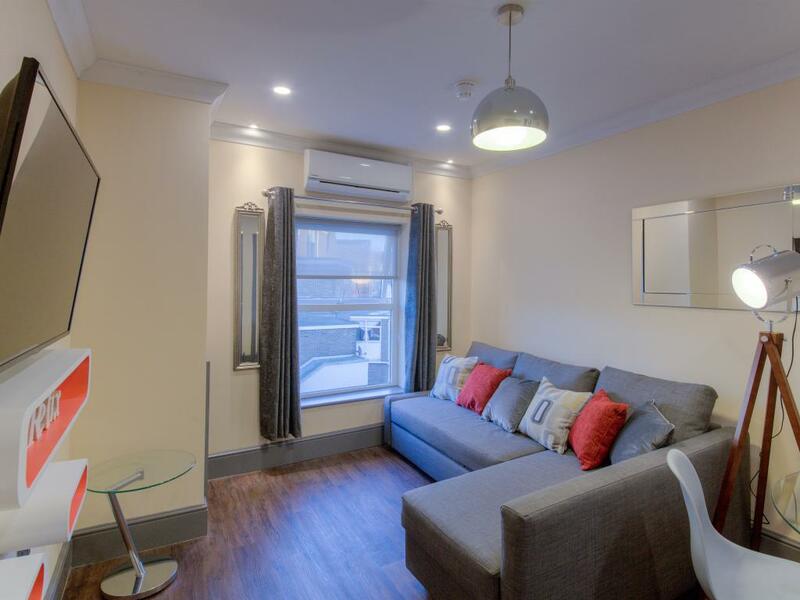 Apartment also comes with air conditioning unit in the living area! 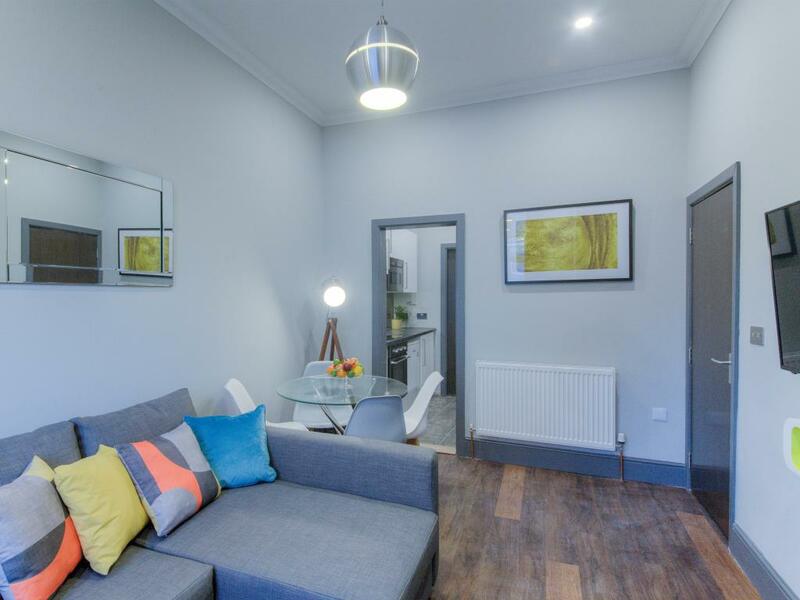 This apartment can easily accommodate 4, great for families. Tastefully decorated to provide guests with a comfortable homely feel during their stay in Great Yarmouth. 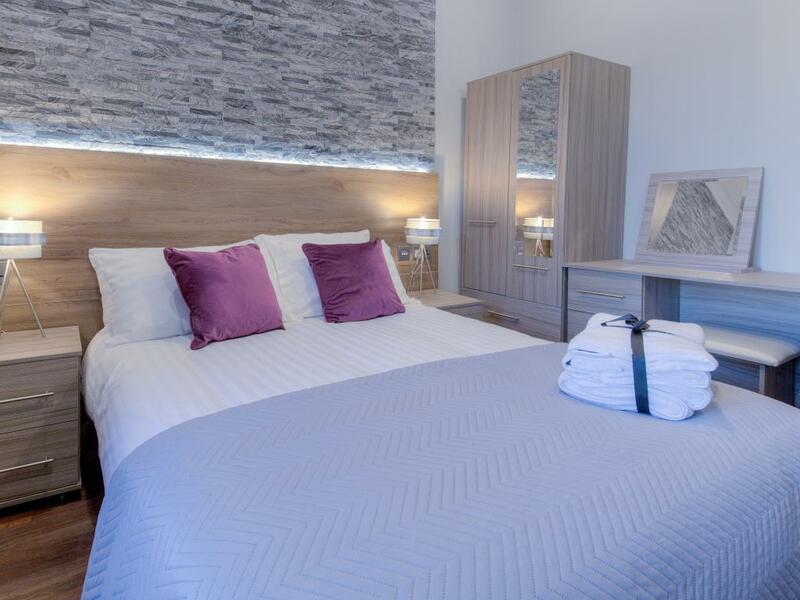 Bedding Configuration: Bedroom: 1 Standard Double Bed Living room: 2 Single Sofabeds Children 2 and under stay for free at all of our apartments and cots are available on request. 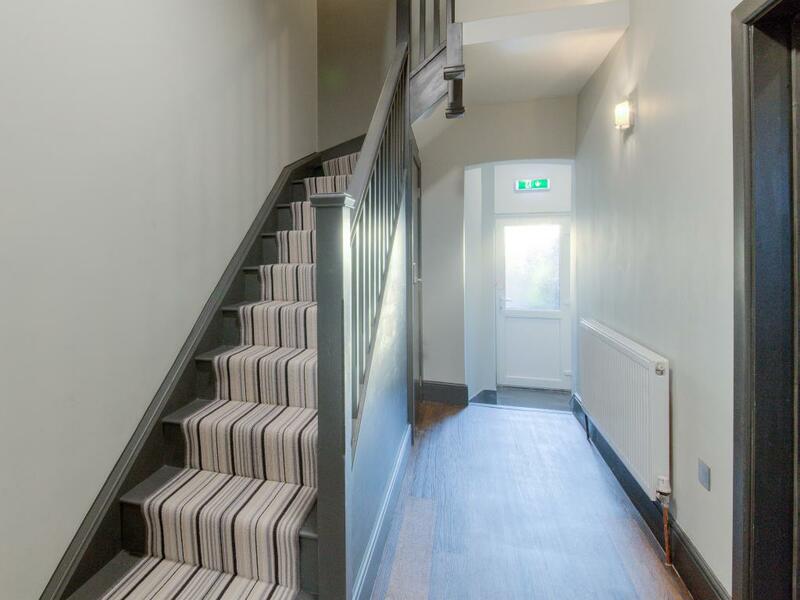 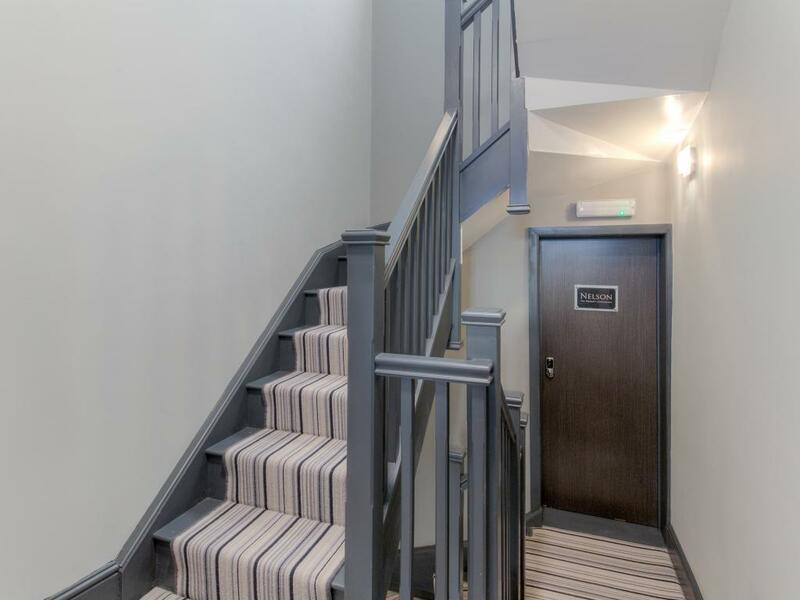 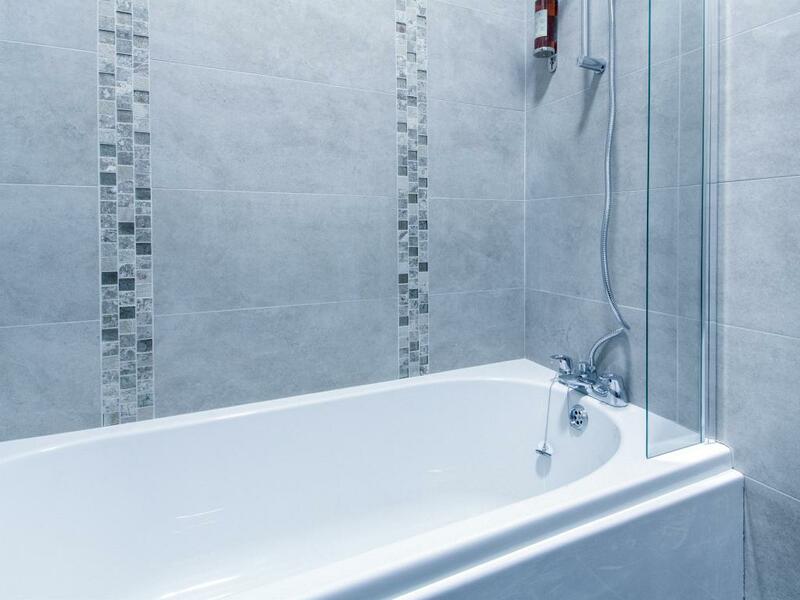 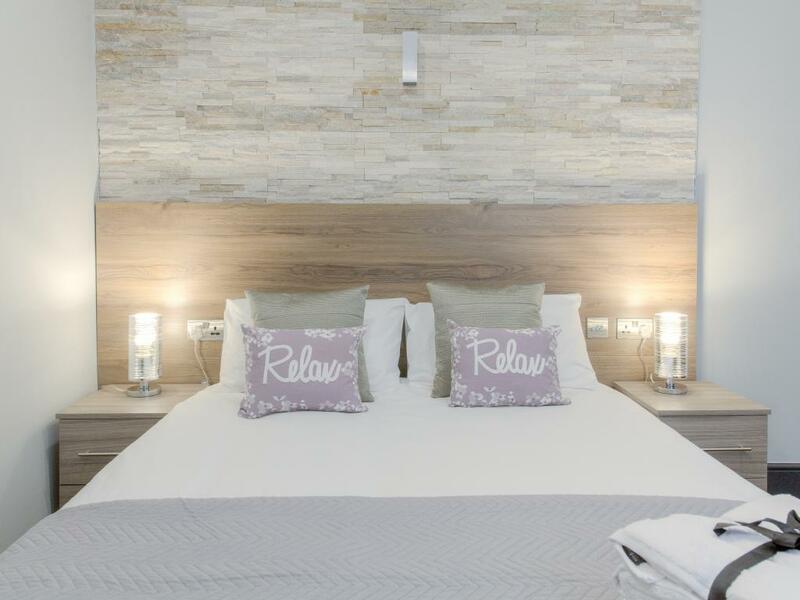 Nelson is a modern one bedroom apartments located on the first floor. 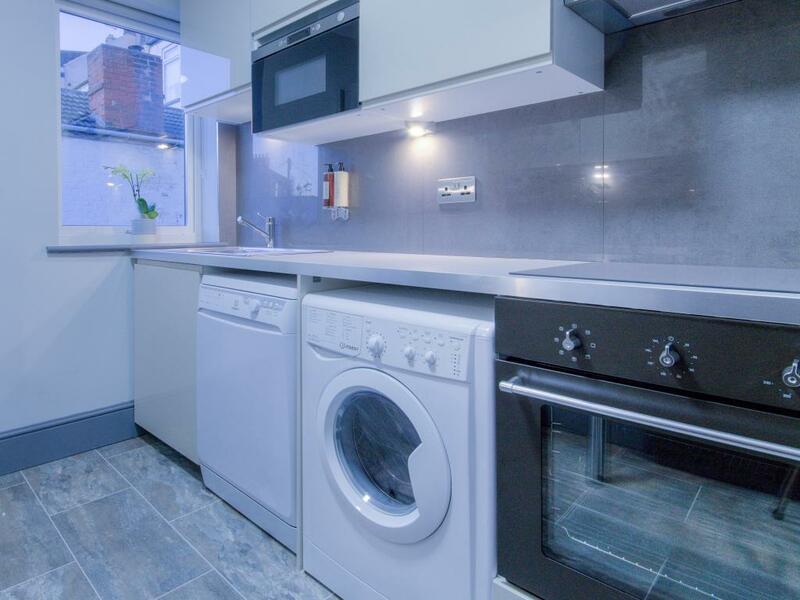 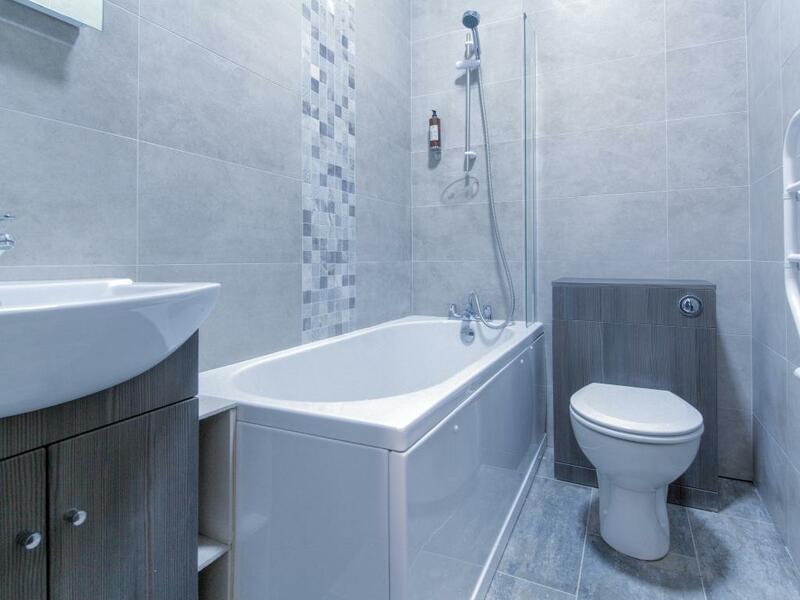 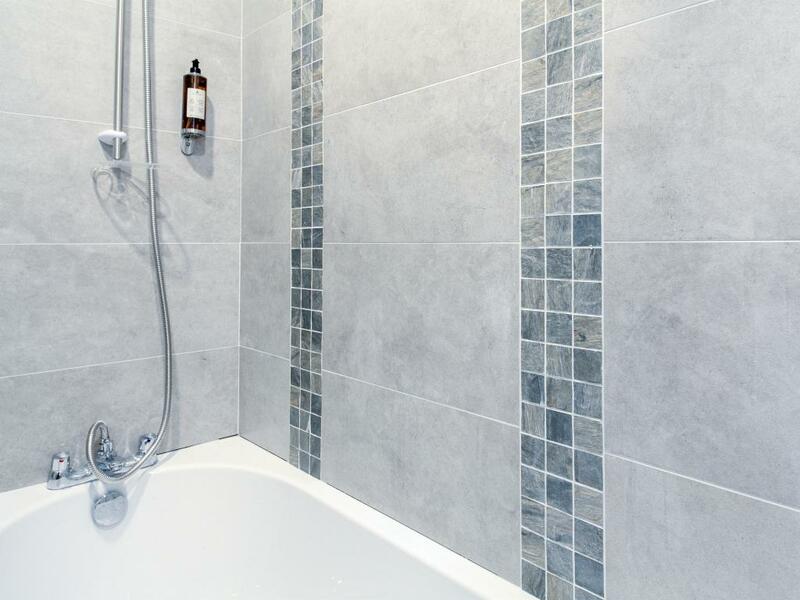 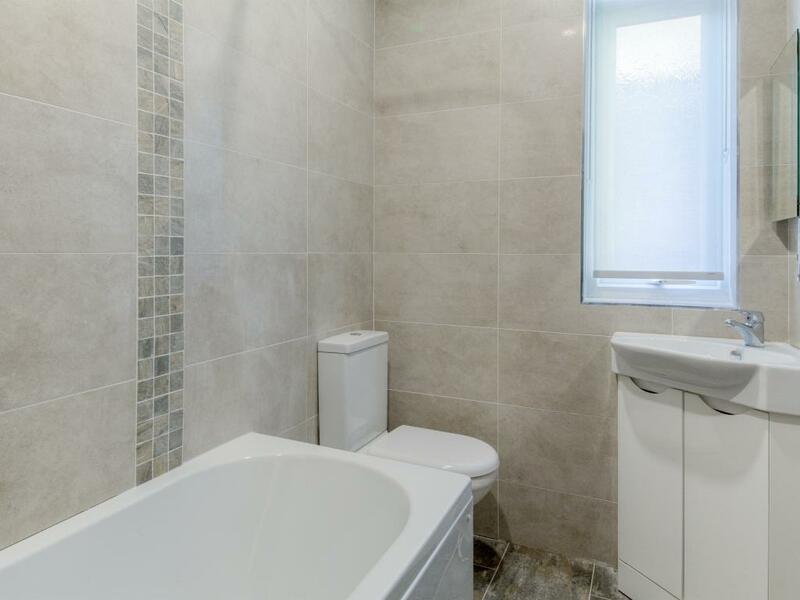 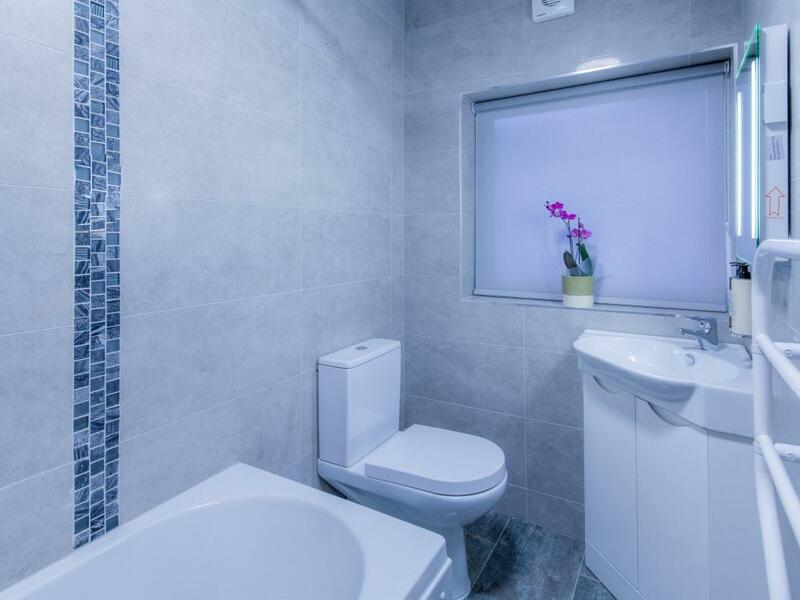 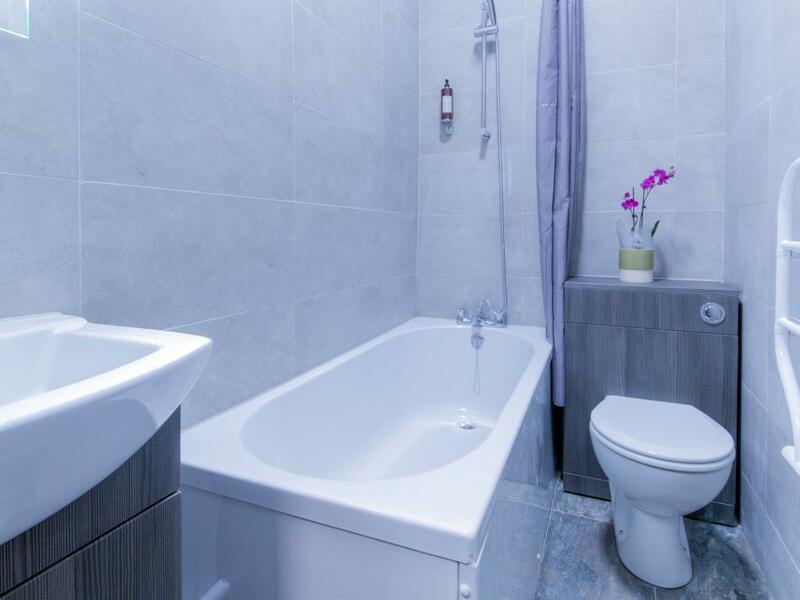 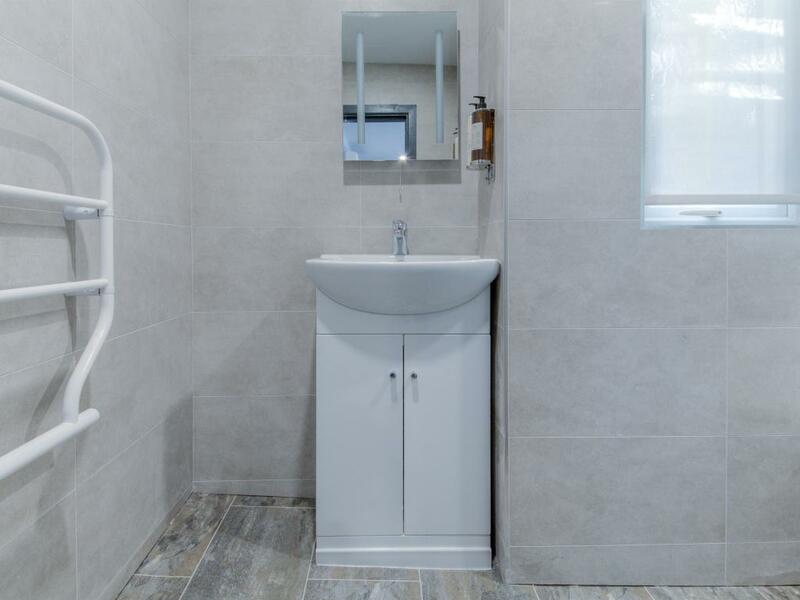 Newly refurbished in January 2018, this apartment has a modern and stylish kitchen, separate living room, bedroom and bathroom. Kitchen comes fully equipped with fridge/freezer, cooker, oven, microwave, washing machine and all necessary kitchen utensils. 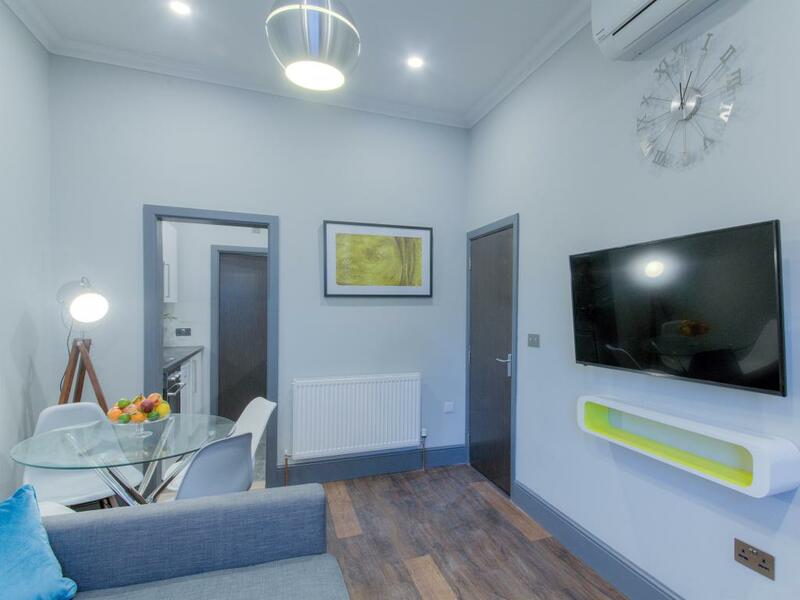 Apartment also comes with air conditioning unit in the living area! This apartment can easily accommodate 4 but is also big enough to accommodate up to 5, great for families. 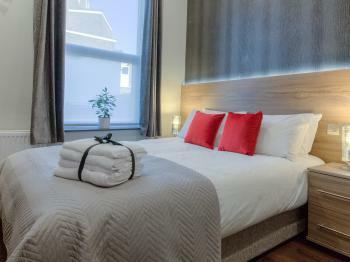 Tastefully decorated to provide guests with a comfortable homely feel during their stay in Great Yarmouth. 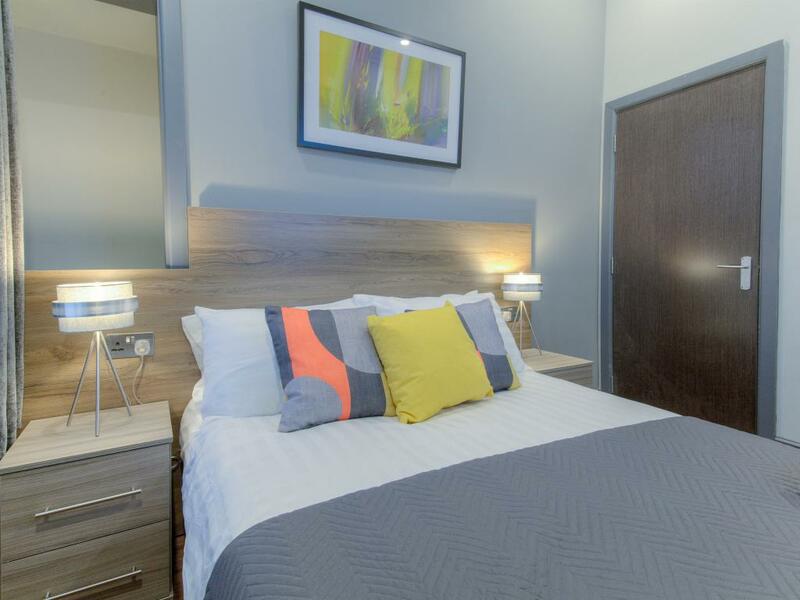 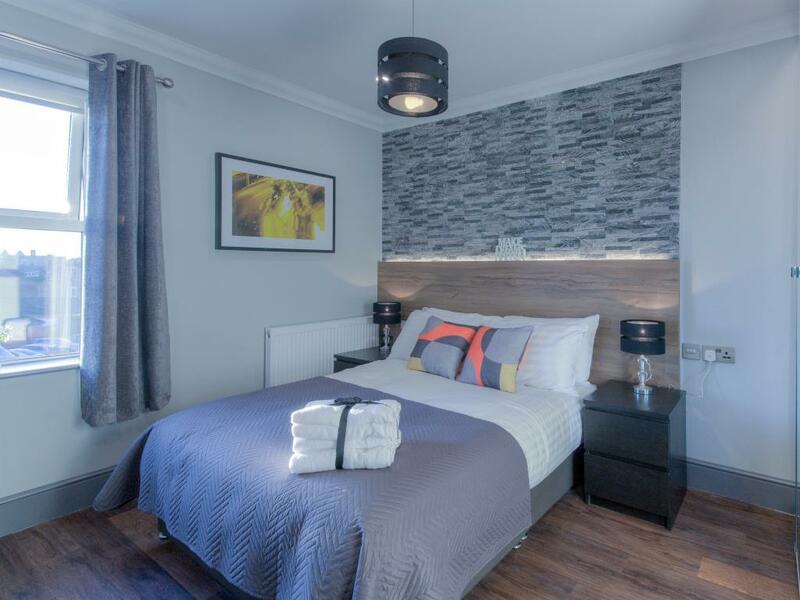 Bedding Configuration: Bedroom: 1 Standard Double Bed, 1 Single Sofabed Living room: 1 Double sofabed Children 2 and under stay for free at all of our apartments and cots are available on request. 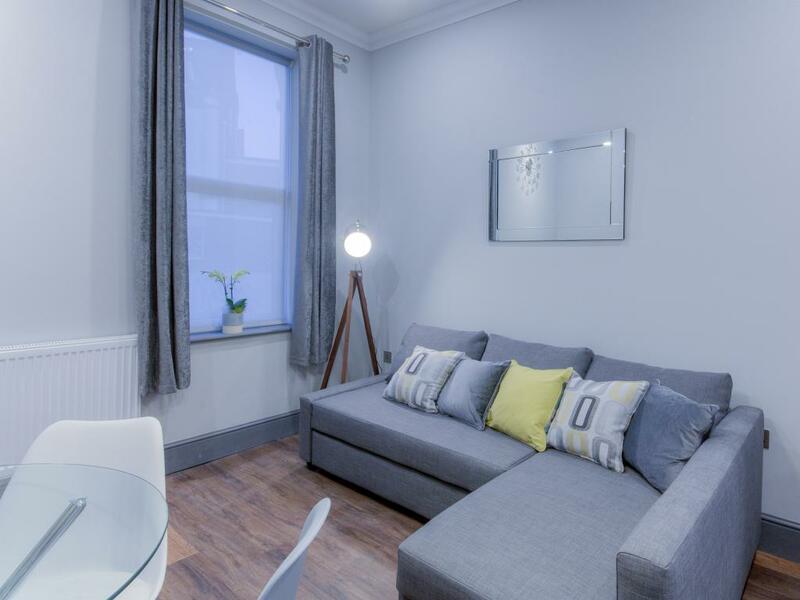 Cromer is a modern one bedroom apartment located on the second floor. 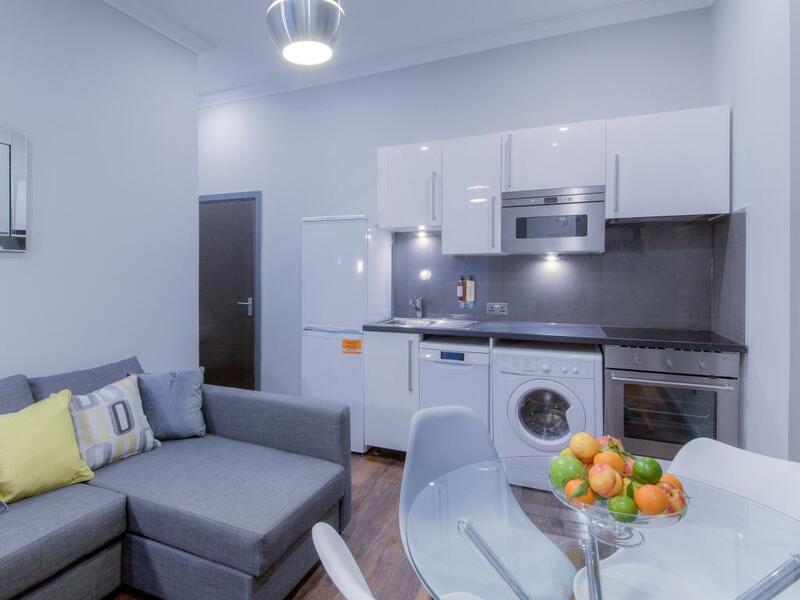 Newly refurbished in January 2018, this apartment has a modern and stylish open plan kitchen/lounge, separate bedroom and bathroom. 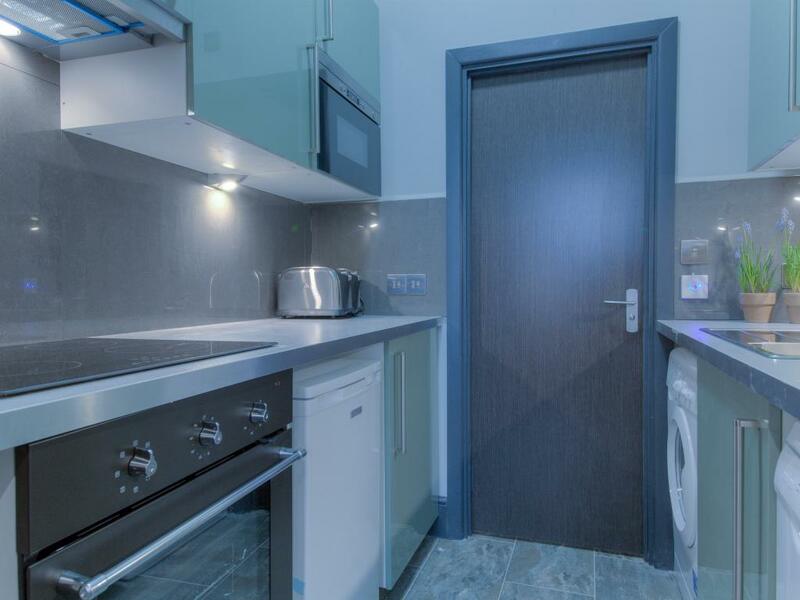 Kitchen comes fully equipped with fridge/freezer, cooker, oven, microwave, washing machine and all necessary kitchen utensils. Apartment also comes with air conditioning unit in the living area! 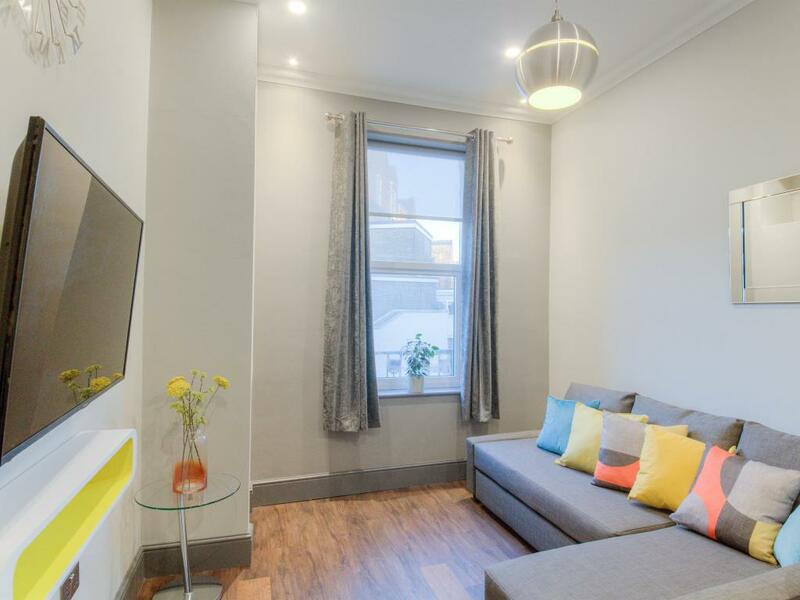 This apartment can easily accommodate 4, great for families. 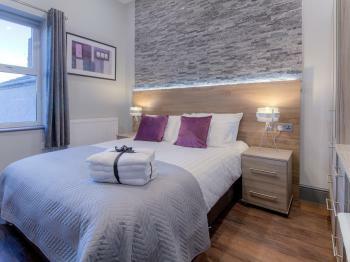 Tastefully decorated to provide guests with a comfortable homely feel during their stay in Great Yarmouth. 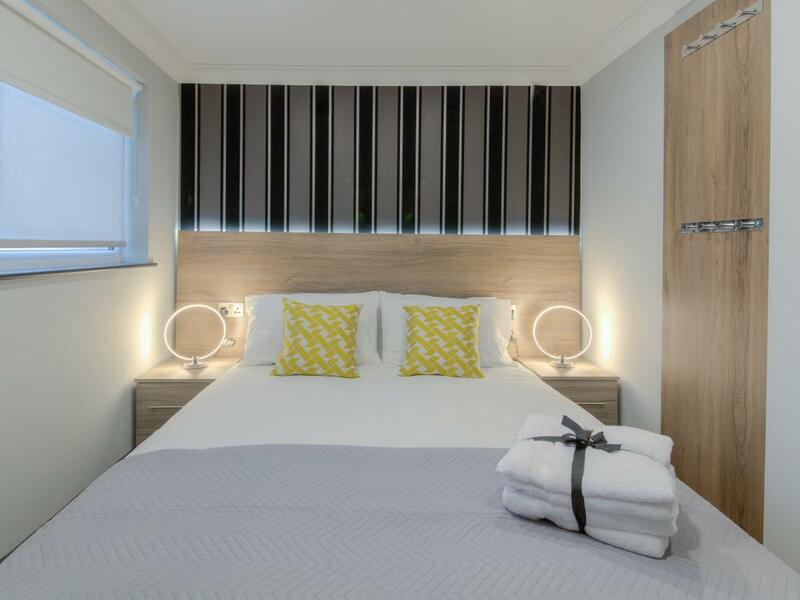 Bedding Configuration: Bedroom - 1 Standard Double Bed Living room - 2 Single Sofabeds Children 2 and under stay for free at all of our apartments and cots are available on request. 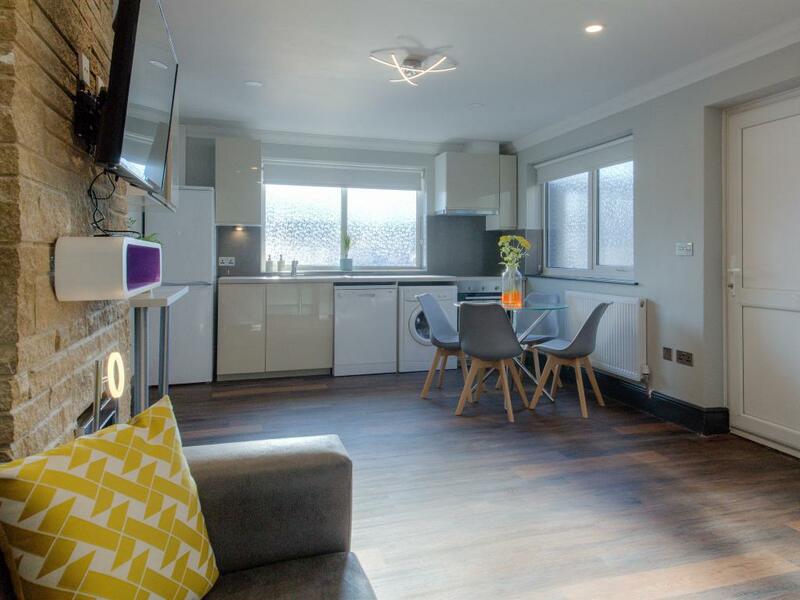 Hemsby is a modern one bedroom apartment located on the second floor. Newly refurbished in January 2018, this apartment has a modern and stylish open plan kitchen/lounge, separate bedroom and bathroom. 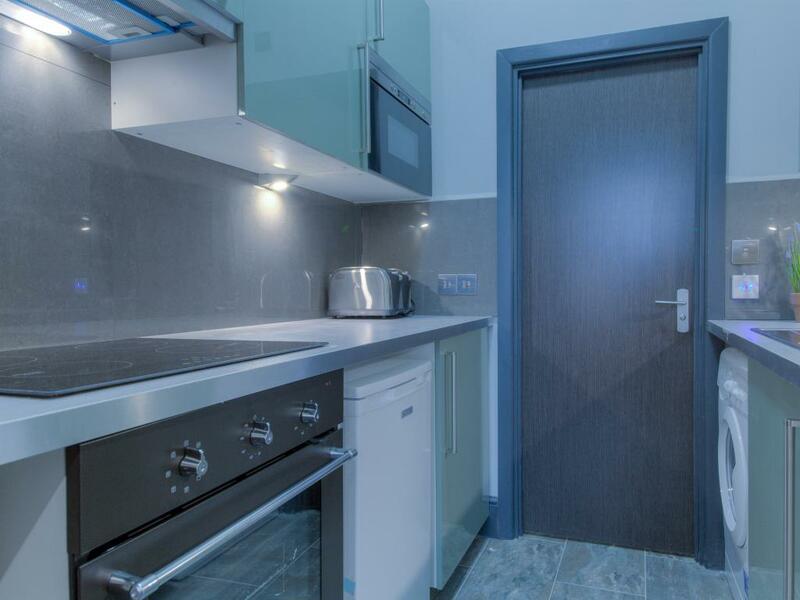 Kitchen comes fully equipped with fridge/freezer, cooker, oven, microwave, washing machine and all necessary kitchen utensils. 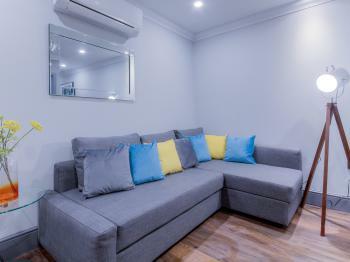 Apartment also comes with air conditioning unit in the living area! 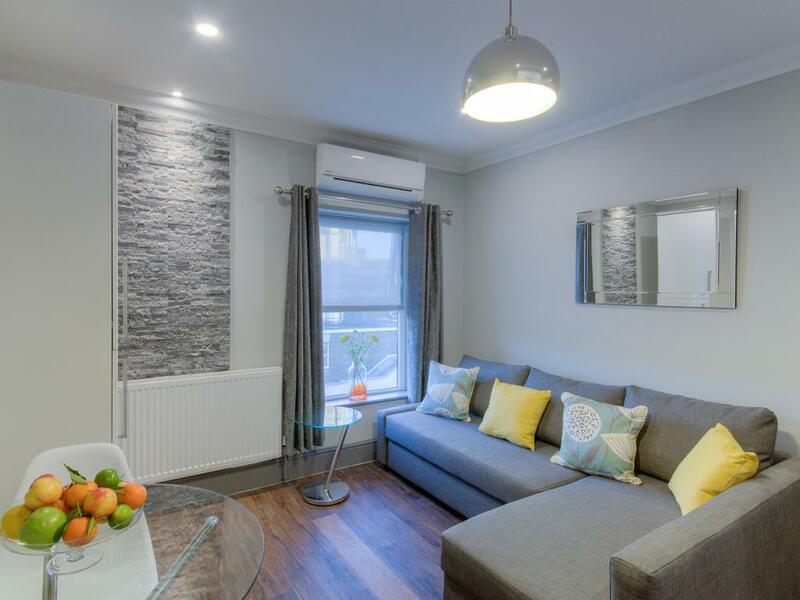 This apartment can easily accommodate 4, great for families. 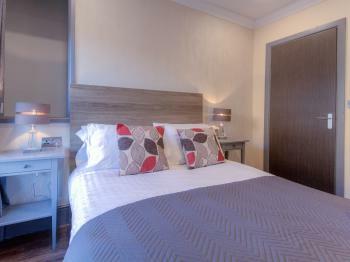 Tastefully decorated to provide guests with a comfortable homely feel during their stay in Great Yarmouth. 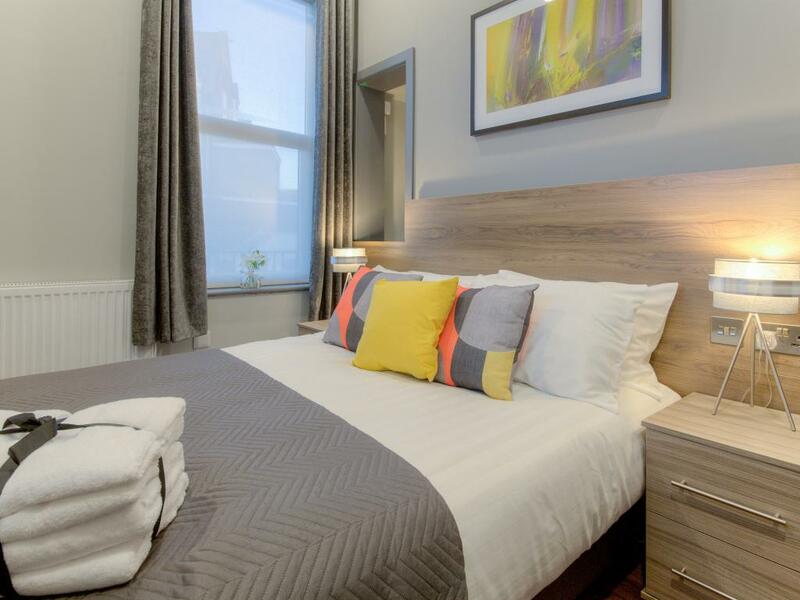 Bedding Configuration: Bedroom: 1 Standard Double Bed Living room: 1 Double sofabed Children 2 and under stay for free at all of our apartments and cots are available on request. The Bromley Apartments is an entire block of 9 apartments. 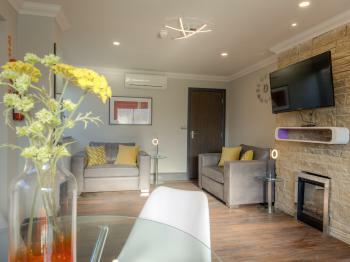 It can accommodate at any one time up to 9 separate families, with a maximum number of 35 guests in total. 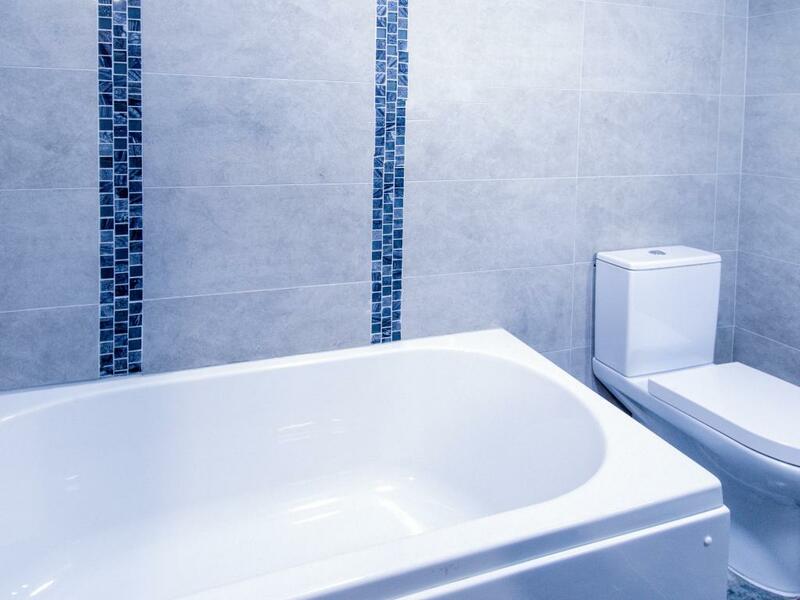 This advantage is a huge benefit to large events such as weddings, conferences, as well as other corporate gatherings and teams of contractors and engineers who are on short term projects in the area. 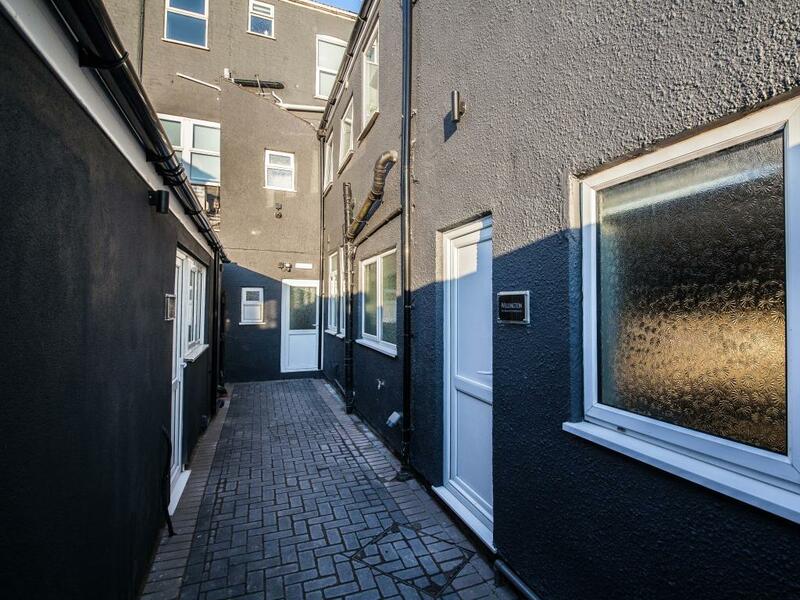 The property underwent a complete refurbishment in 2018, is centrally situated, close to the seafront and all amenities of Great Yarmouth. 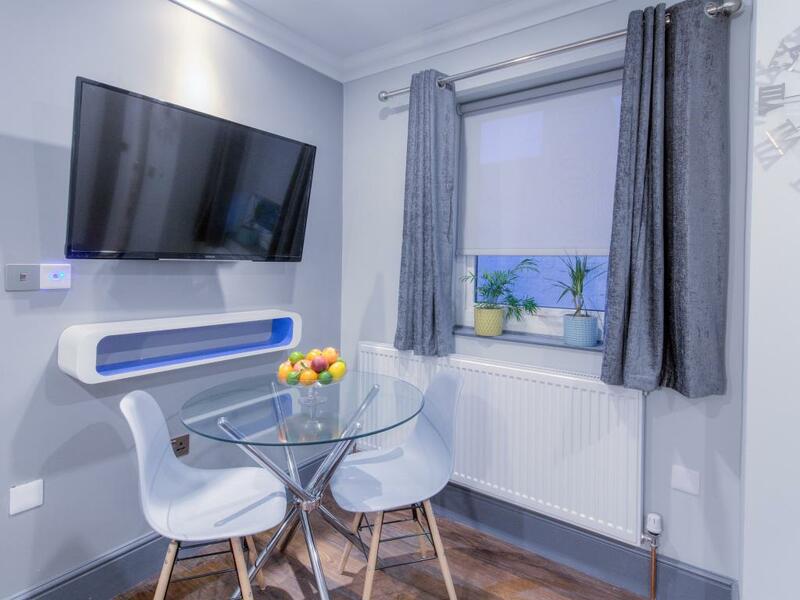 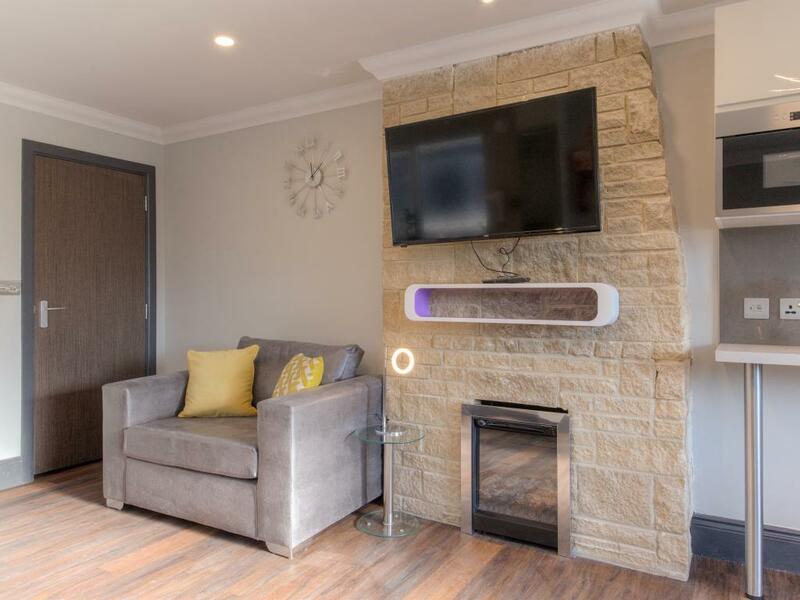 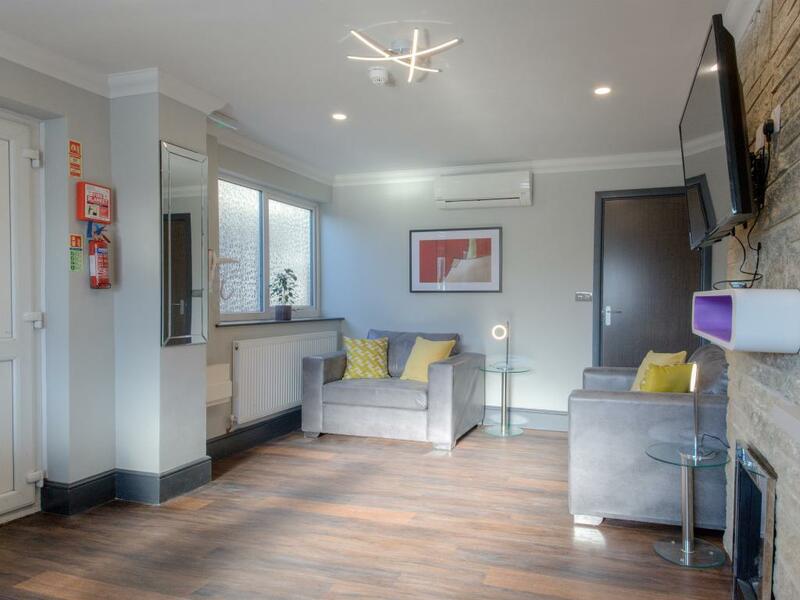 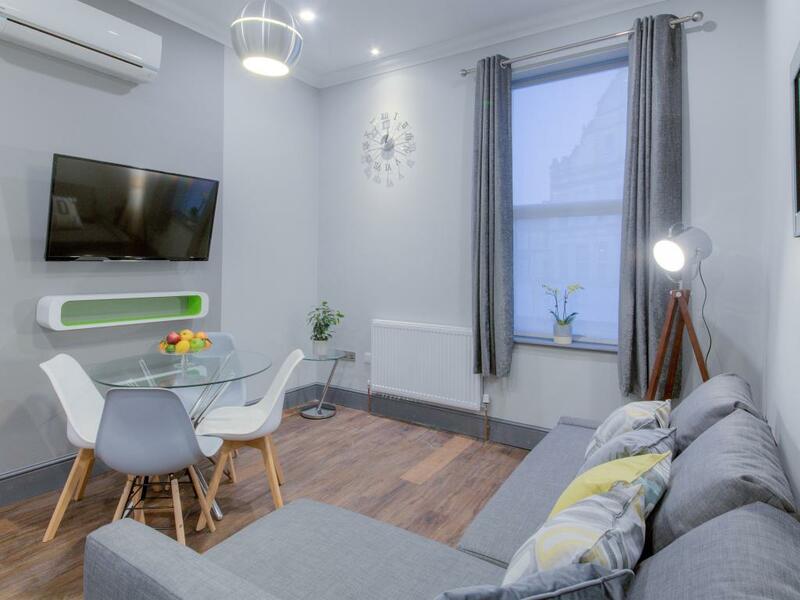 All self-catering apartments have open plan living room and fully fitted kitchen, in addition to air conditioning unit, flat screen TVs and free WiFi. 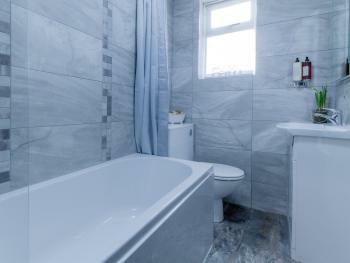 The property is also rated for the best value in Great Yarmouth! 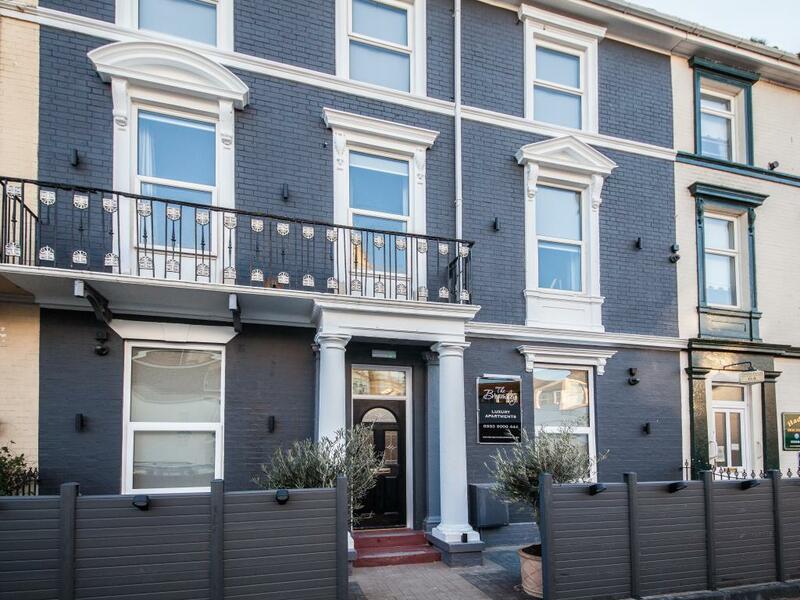 Guests are getting more for their money when compared to other properties in town.